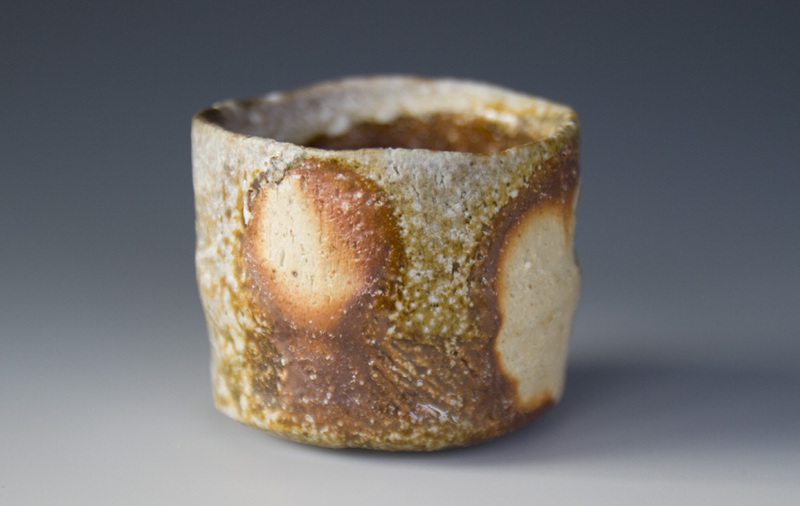 I am a studio potter currently based in Brooklyn, NY. 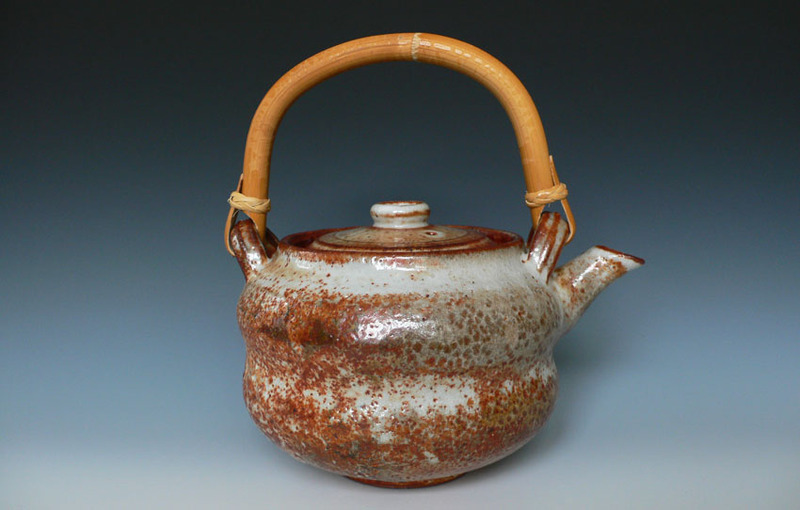 I create Japanese inspired teaware and other functional vessels for everyday enjoyment. 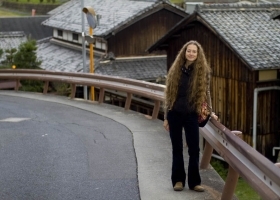 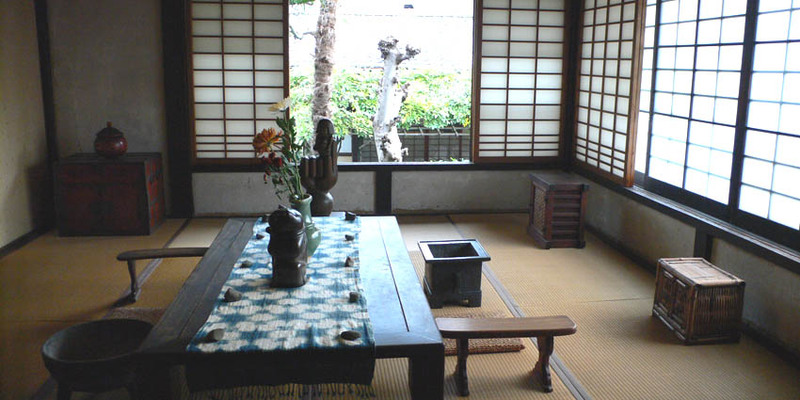 Having lived in Japan for 8 years, my aesthetic has been greatly formed by the food, tea and ceramic culture of Japan. 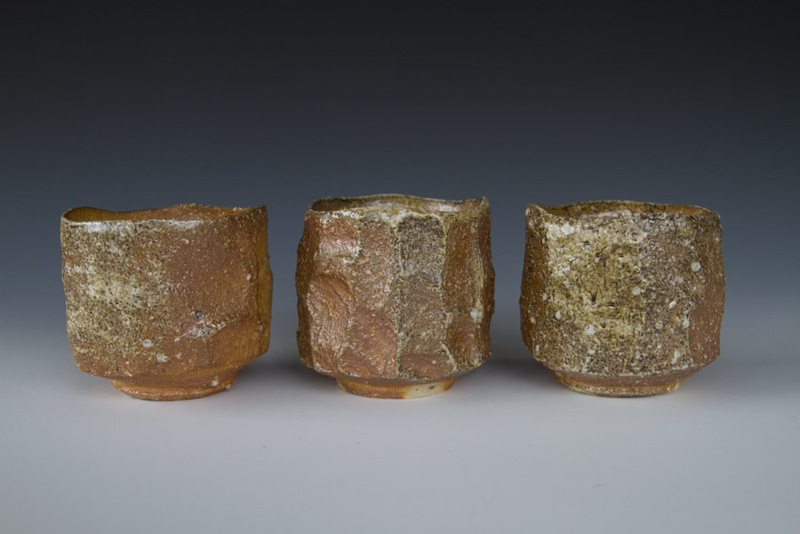 I have a diverse background studying ceramics in the US, Japan and China, which is naturally reflected in the forms and feeling of my wares. One of the things I love most about woodfiring is the element of surprise that the kiln environment brings. So when I’m not woodfiring, I am gas firing, and still looking to incorporate that element of surprise and magic into the process. 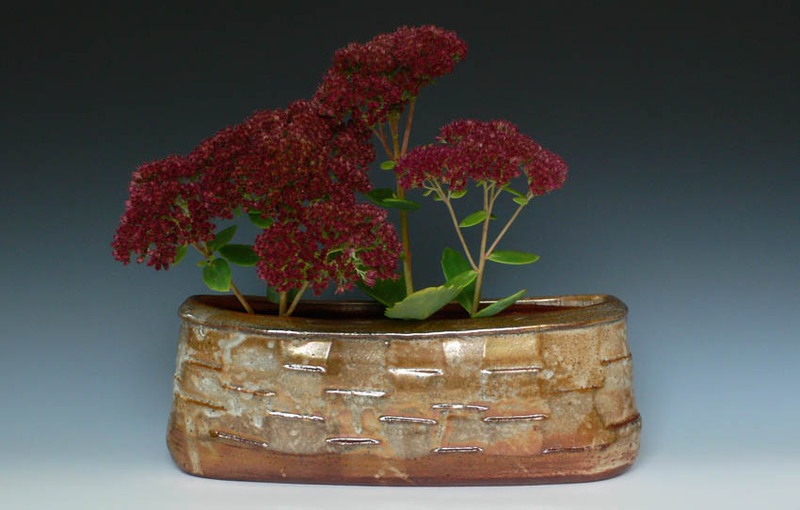 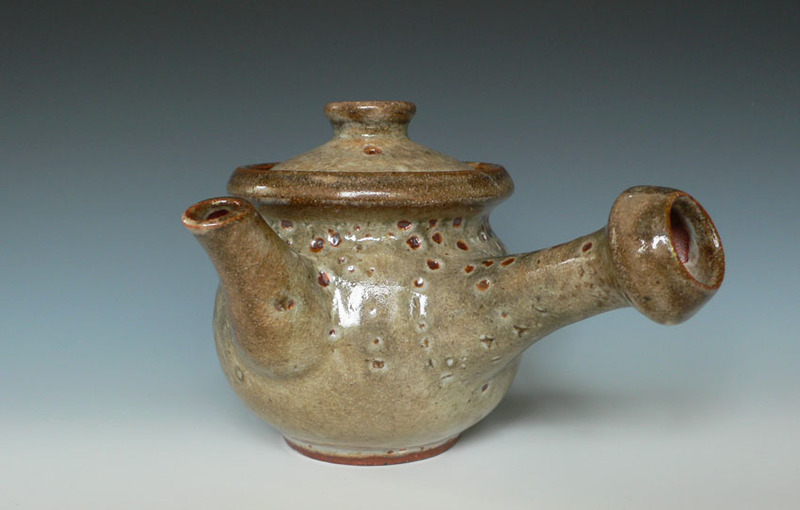 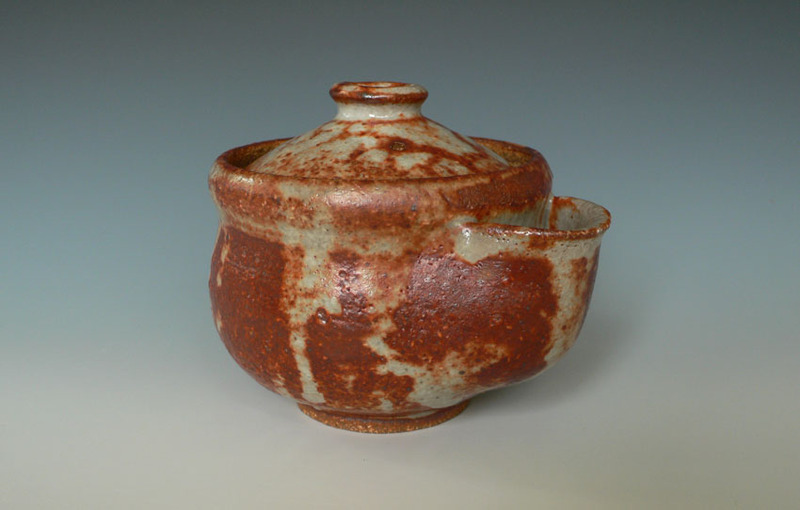 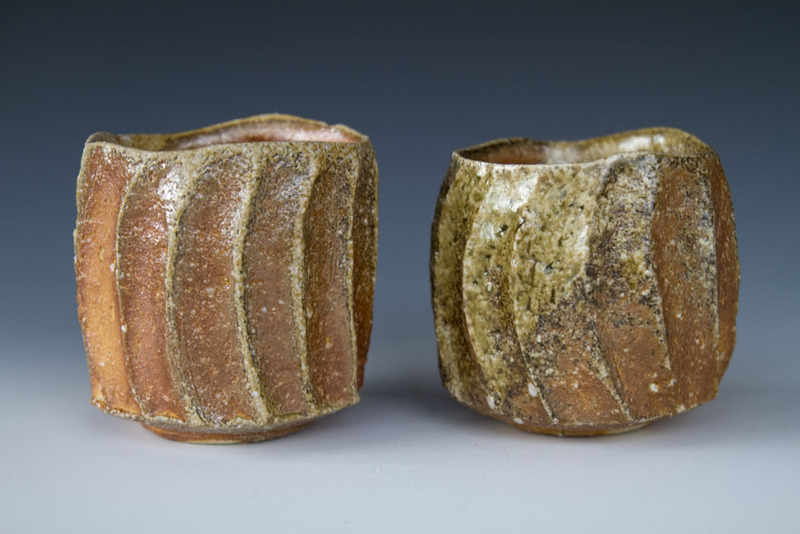 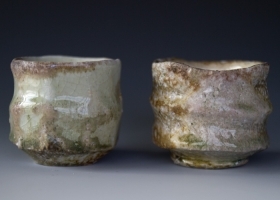 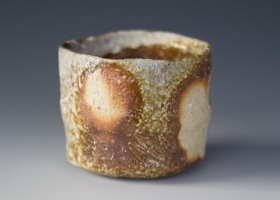 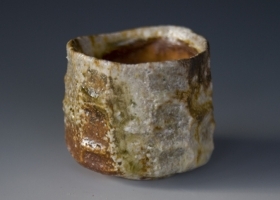 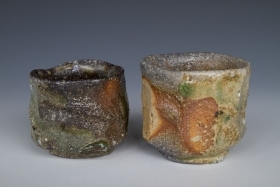 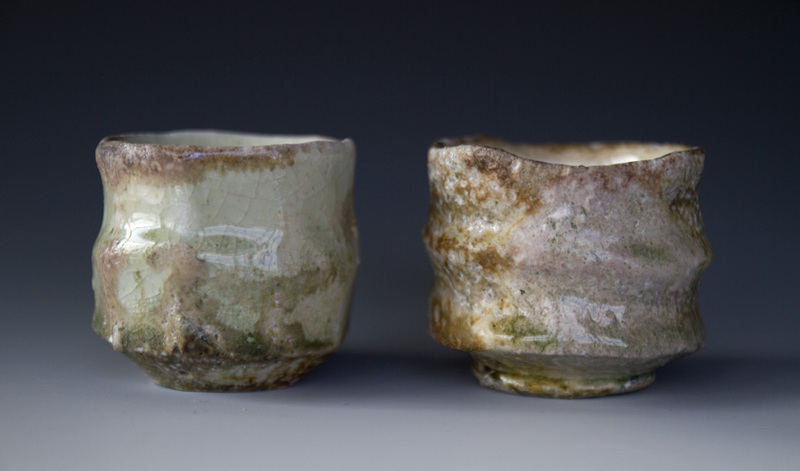 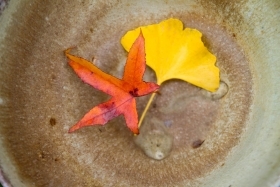 There is one glaze that I love to work with which brings this quality… Shino. 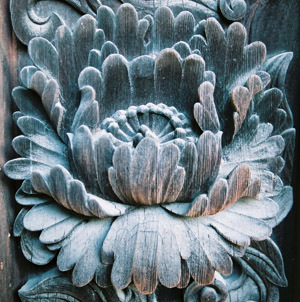 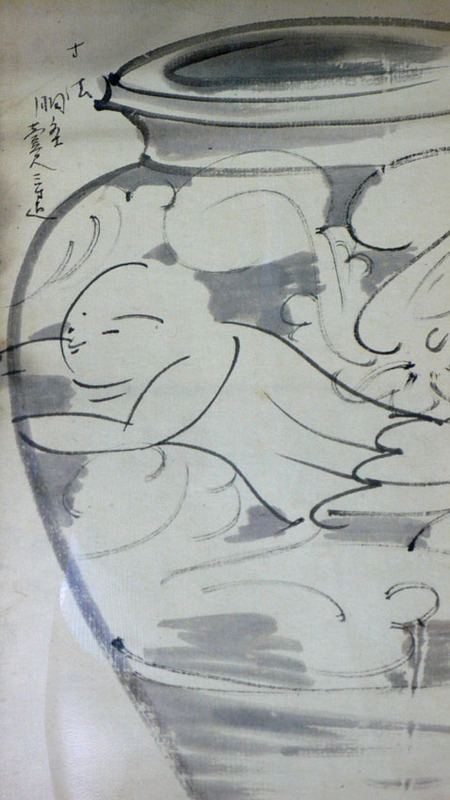 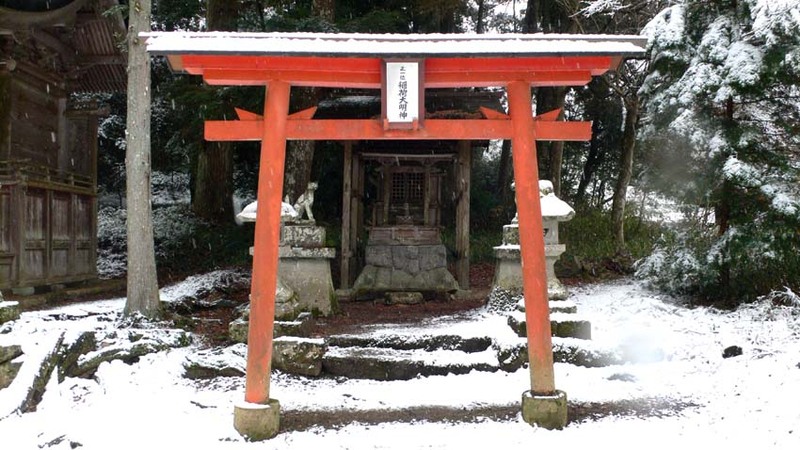 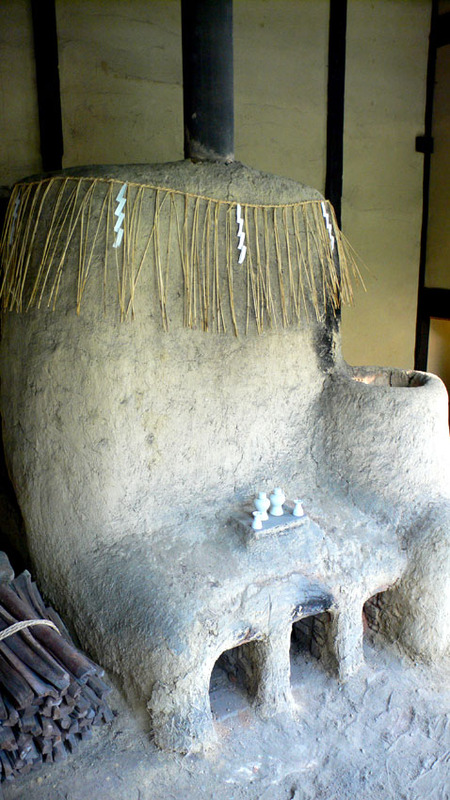 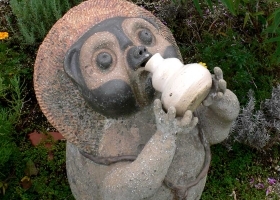 It was originally created in Japan and is characterized by a milky, snow white appearance. 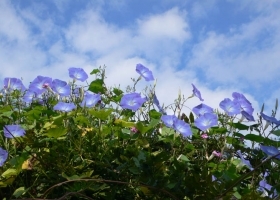 It tends to be in a class of its own, and is known for its unpredictability. 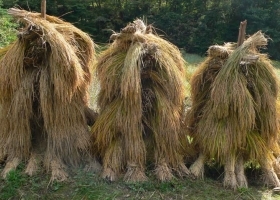 It can crawl, craze and pinhole, which can add to its unique flavor. 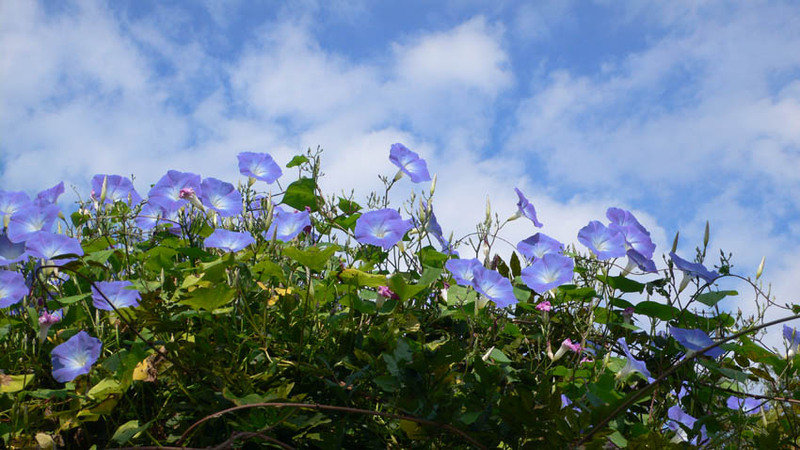 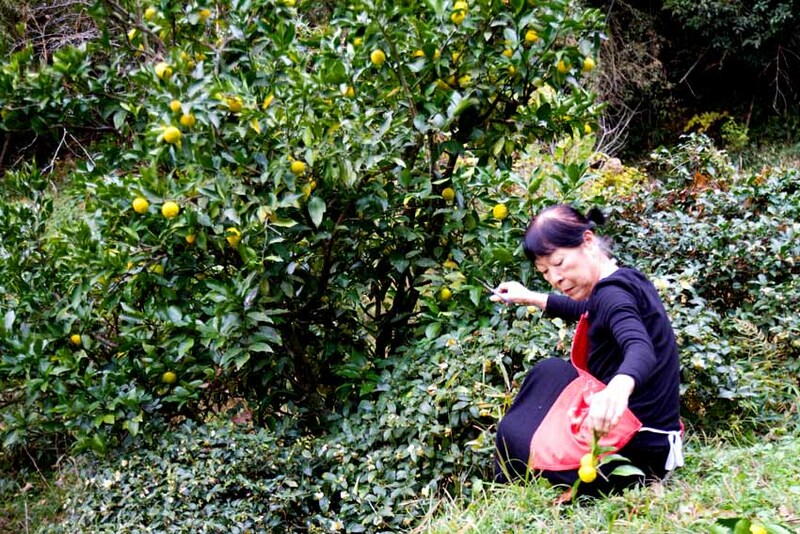 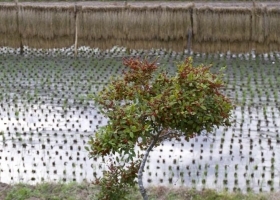 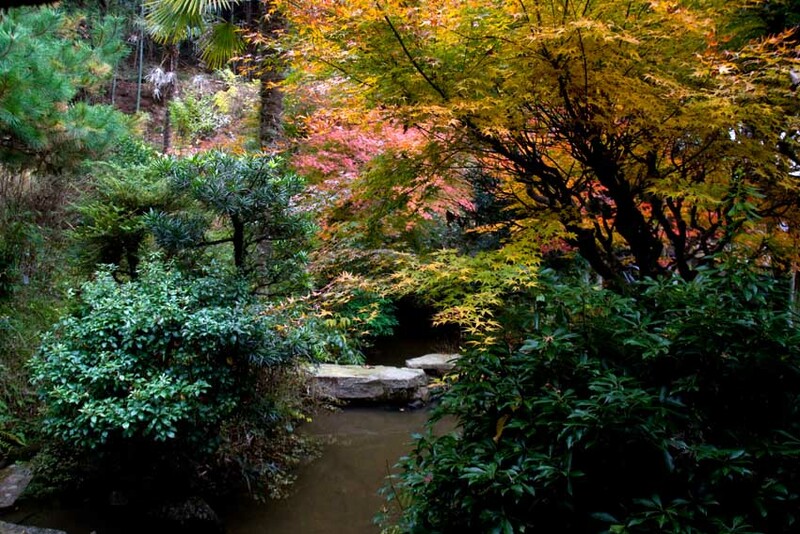 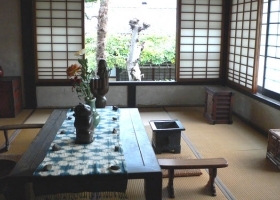 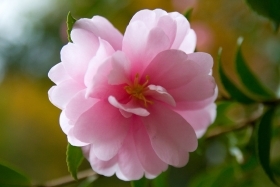 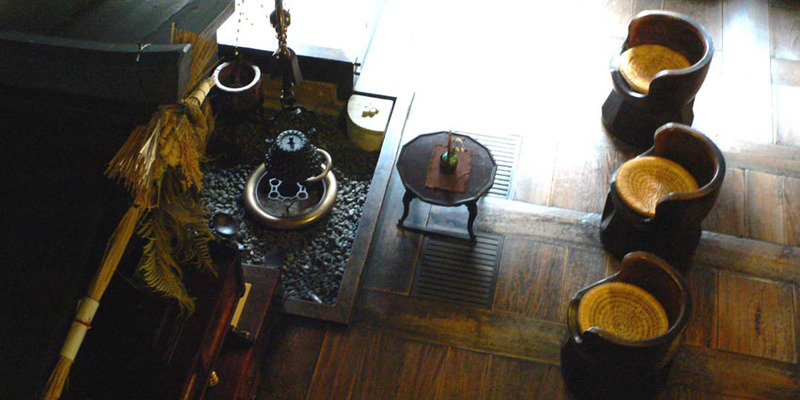 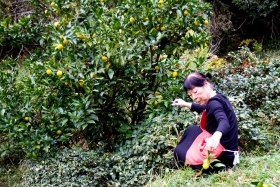 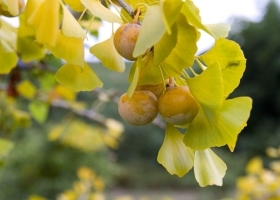 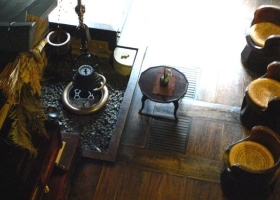 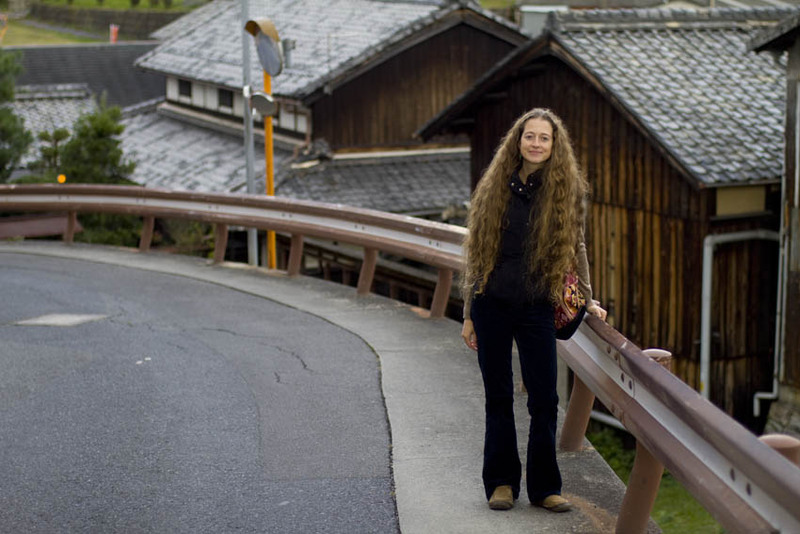 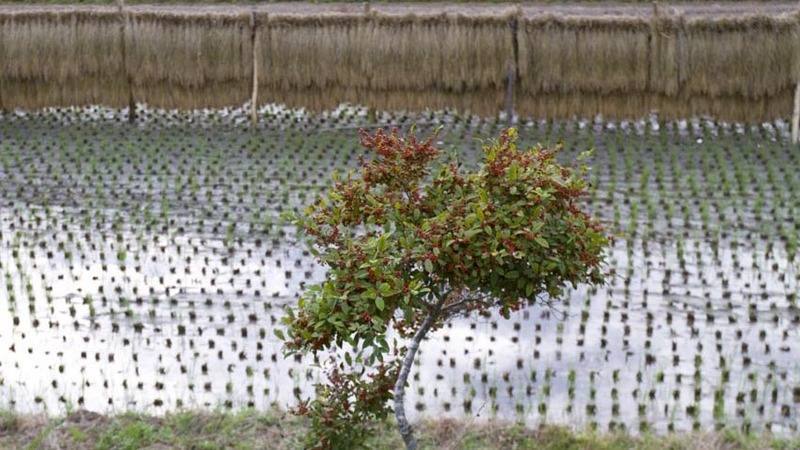 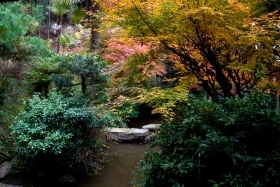 For these reasons, it became sought after by Japan’s tea masters and connoiseurs. 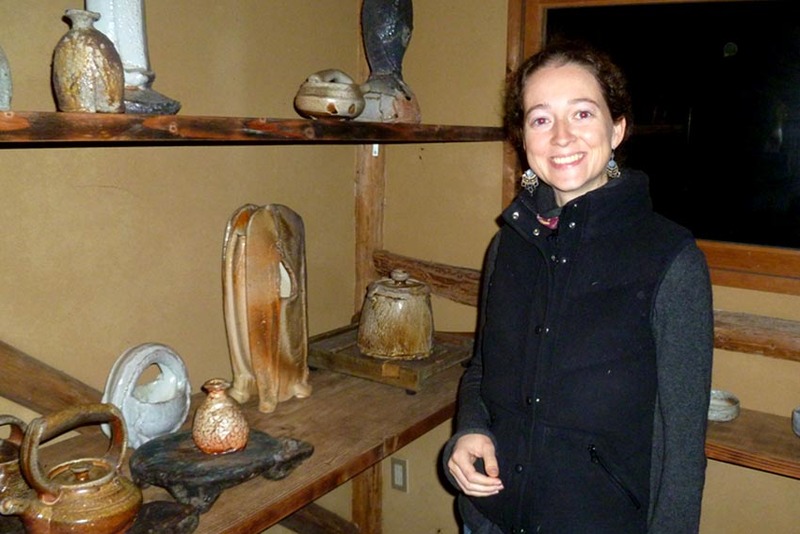 Shino has many faces. 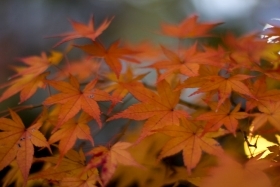 The American shinos can look quite different, usually ranging in orange, red and white. 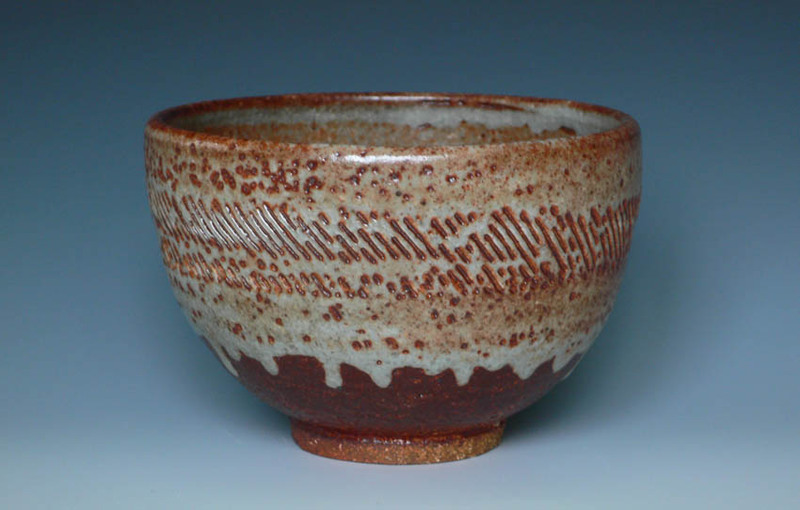 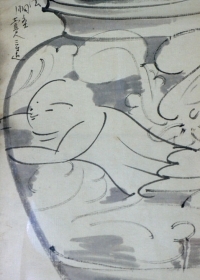 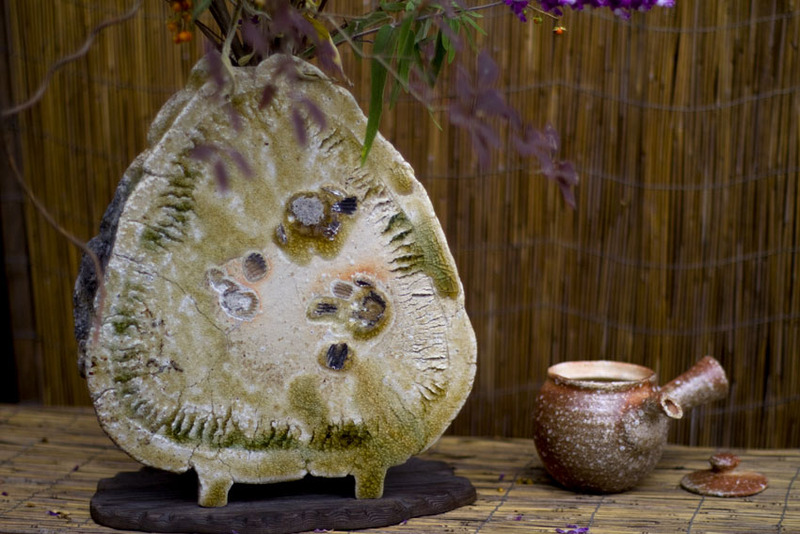 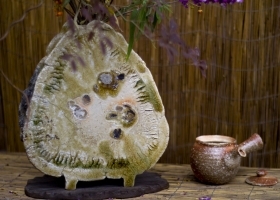 I have found that some Japanese potters, when seeing an American shino piece, say “Shino? That is not shino!” It has taken on a lot of different faces. 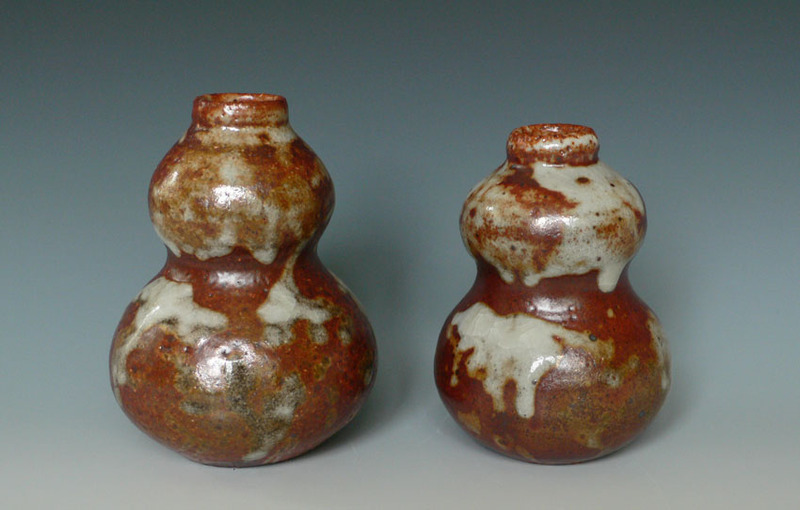 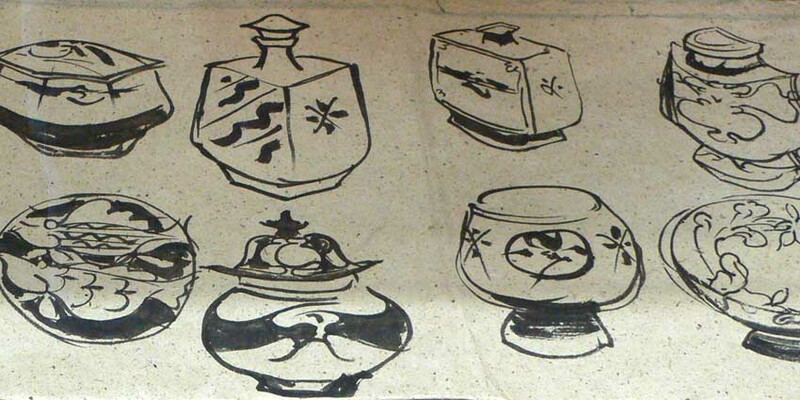 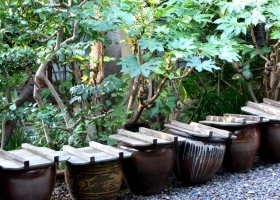 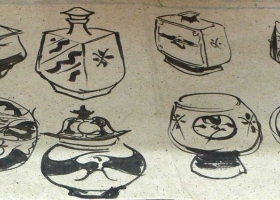 The pots shown here are glazed with only two shino recipes. 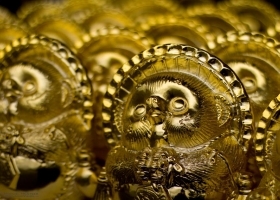 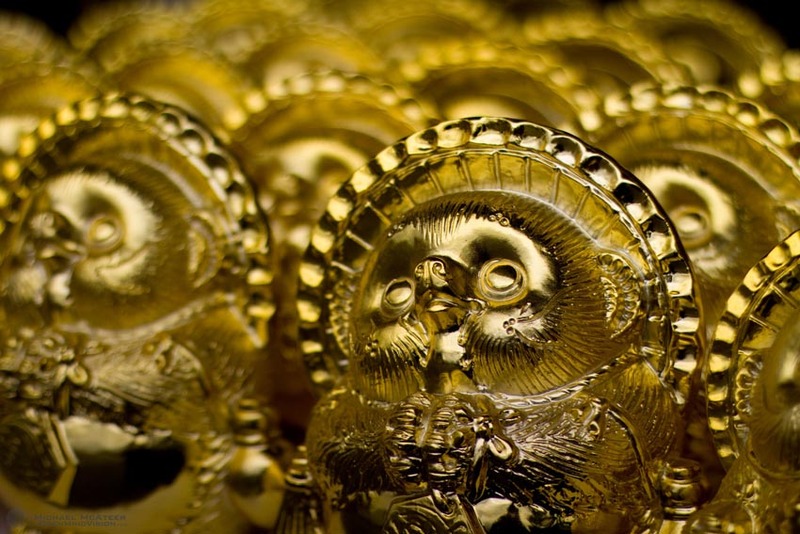 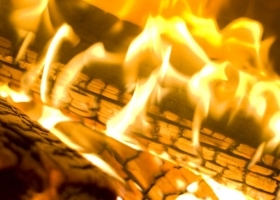 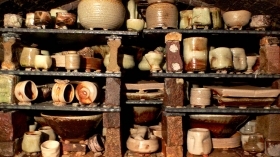 The appearance can vary greatly depending on the humidity in the air, the way it’s applied, how thick or thin, and of course the kiln atmosphere, which can surprise with luster or carbon trapping. 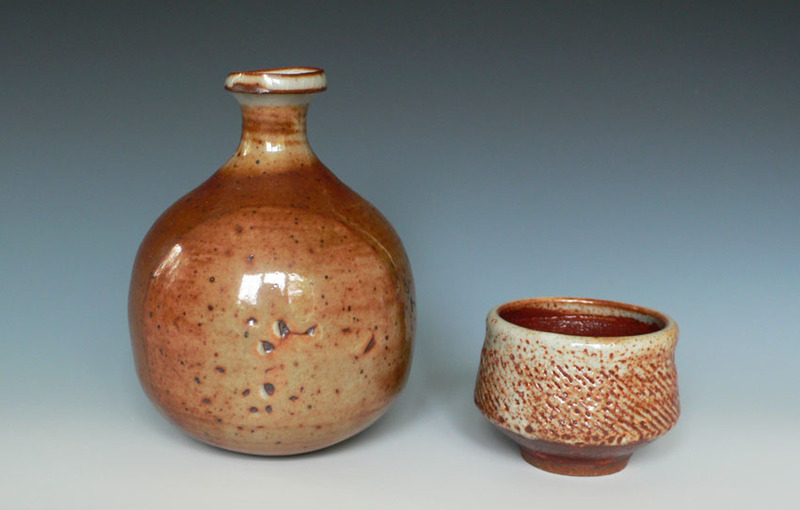 Here are some of my new shino pieces…. 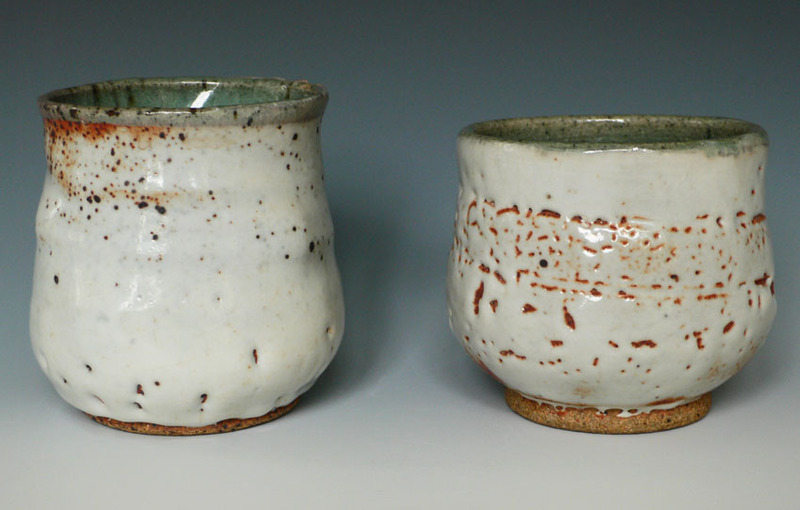 Here are some of my new pots, just fired in Shigaraki. 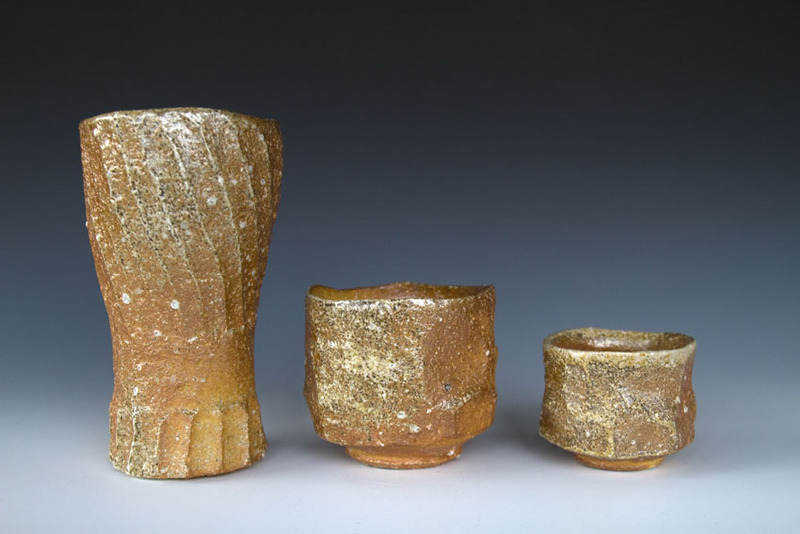 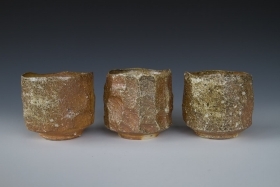 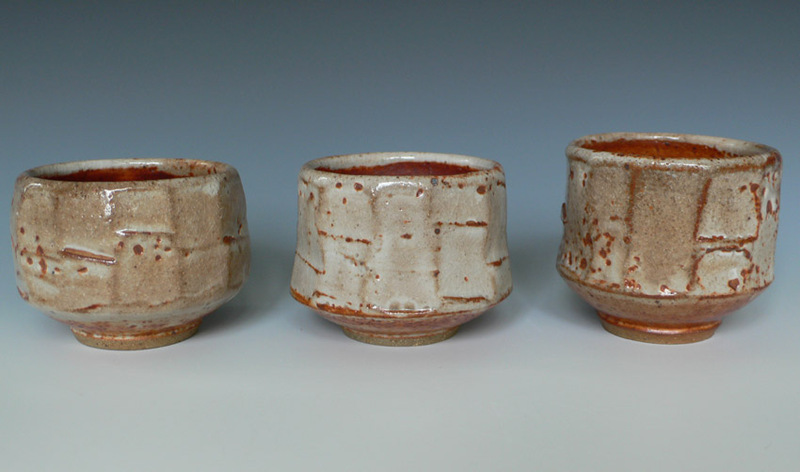 For this firing I made beer, tea, and sake cups. 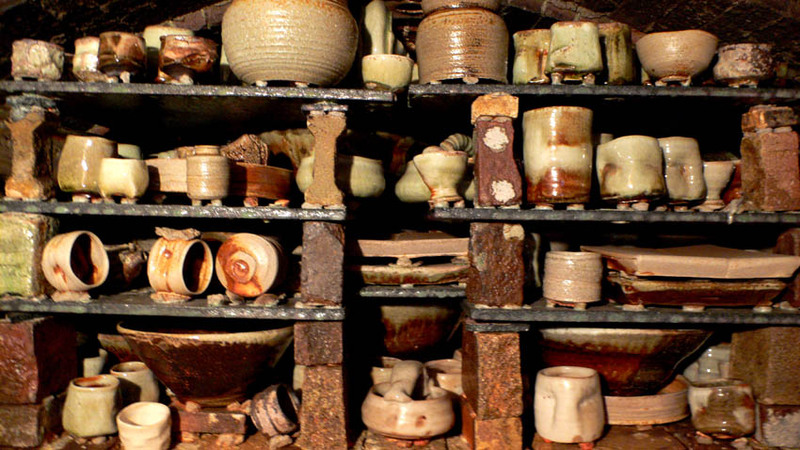 They are all handbuilt (which was completely new for me, as I have always used the electric wheel). 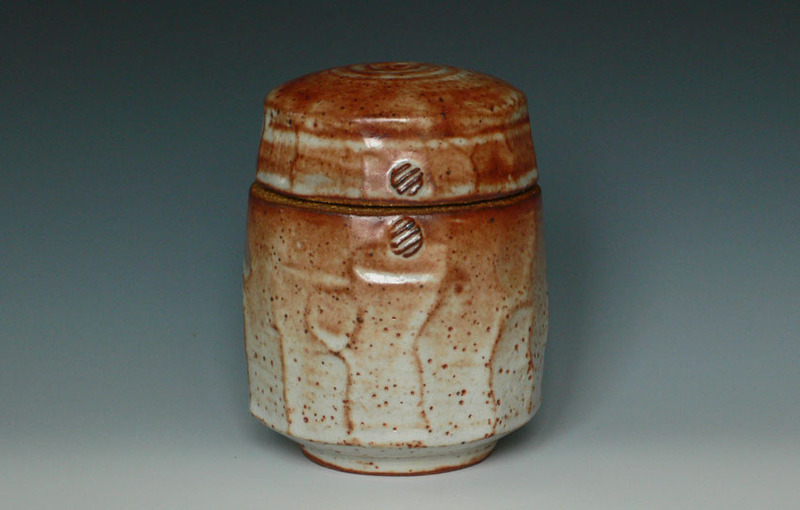 All of the pots are the same clay body – a blend of Shigaraki clays, and there is no glaze, only the natural ash effects from the fire. These sake cups were scattered all around the kiln. 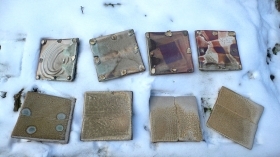 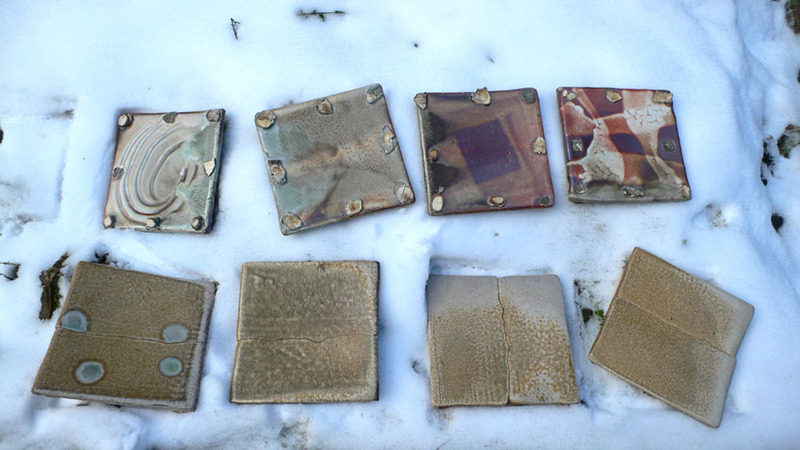 Different places in the kiln result in very different surfaces on the pots. 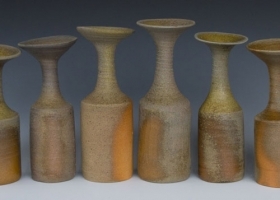 They are all the same clay body with no glaze. 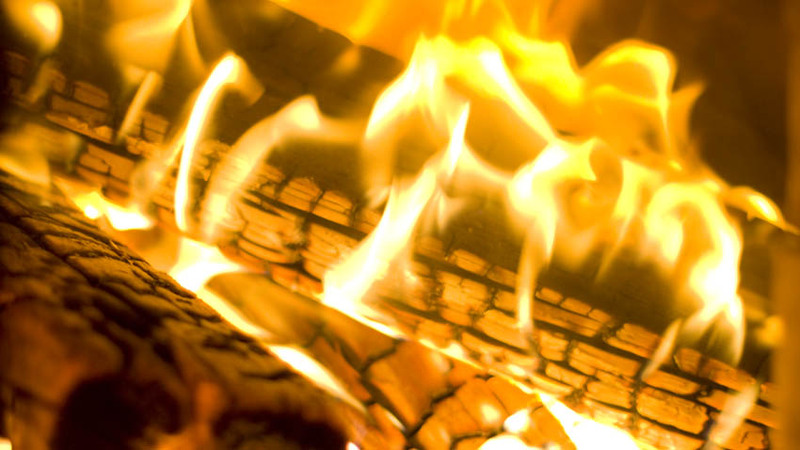 Fire, ash, wind, and time left their marks. 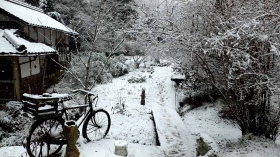 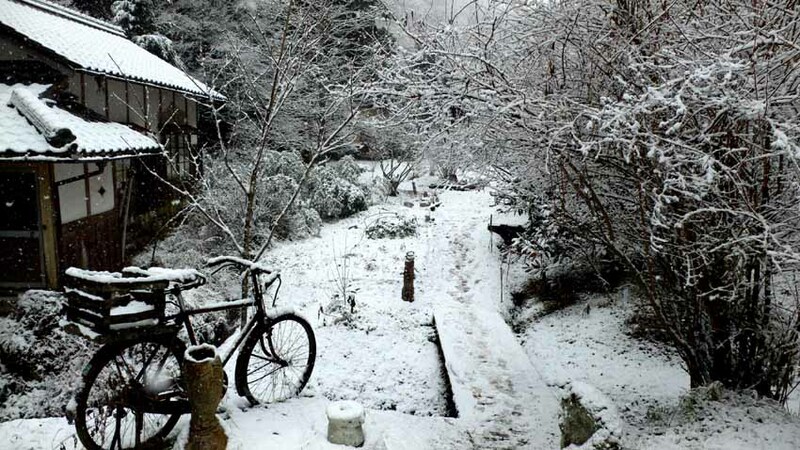 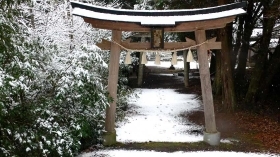 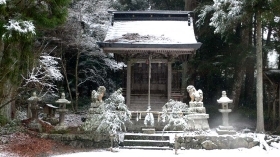 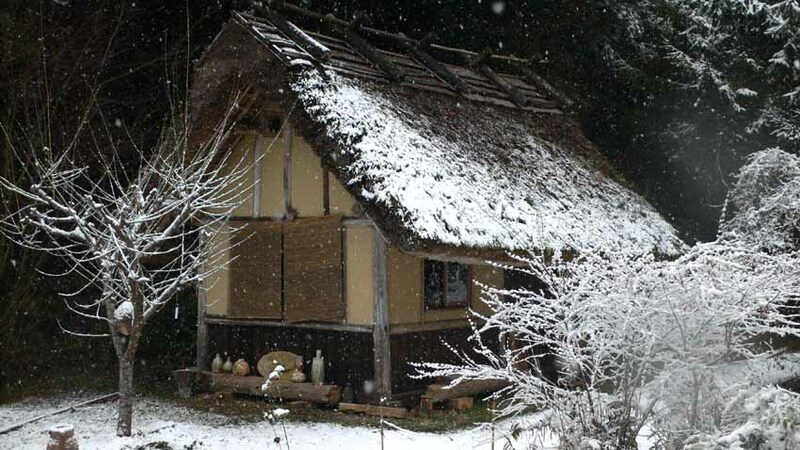 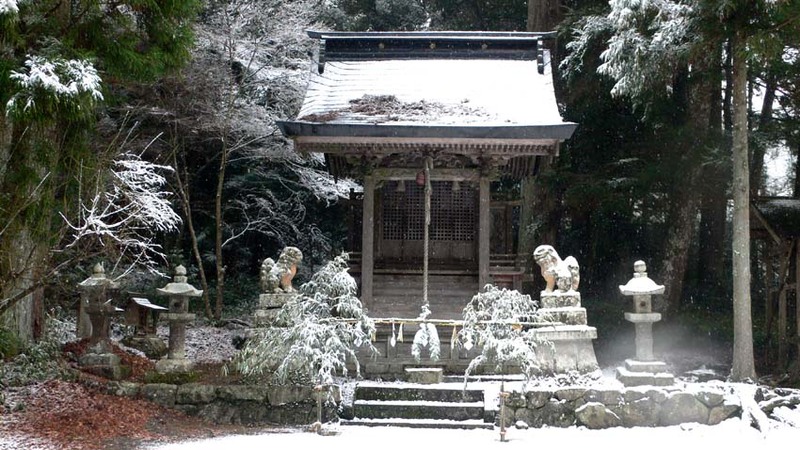 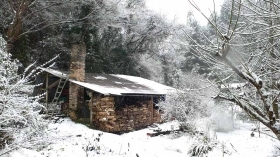 The first snow of the season arrived while I was at John Dix’s studio in Sasayama. 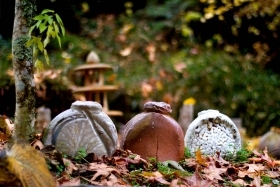 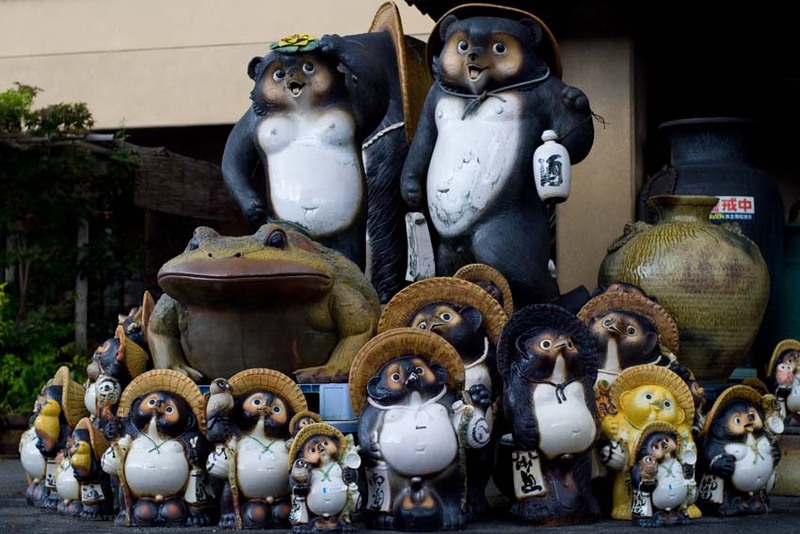 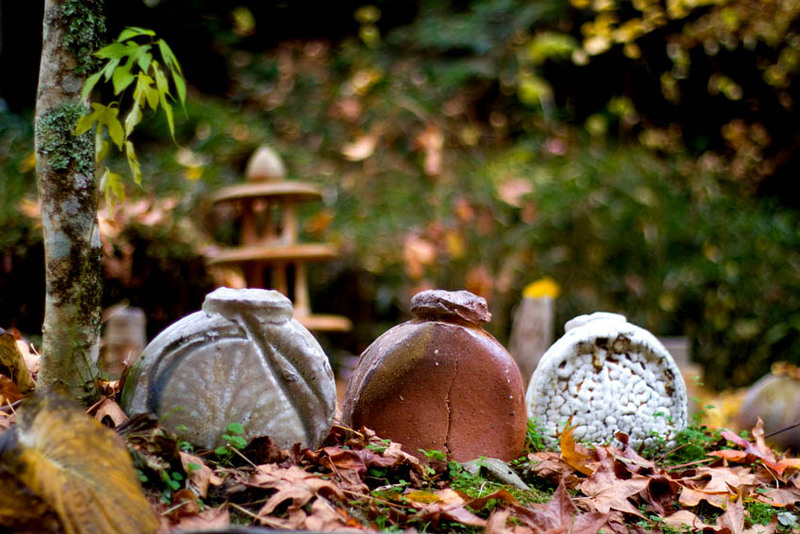 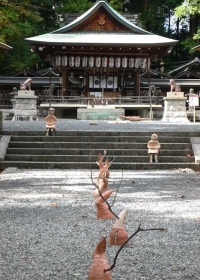 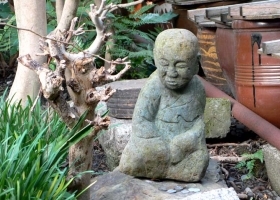 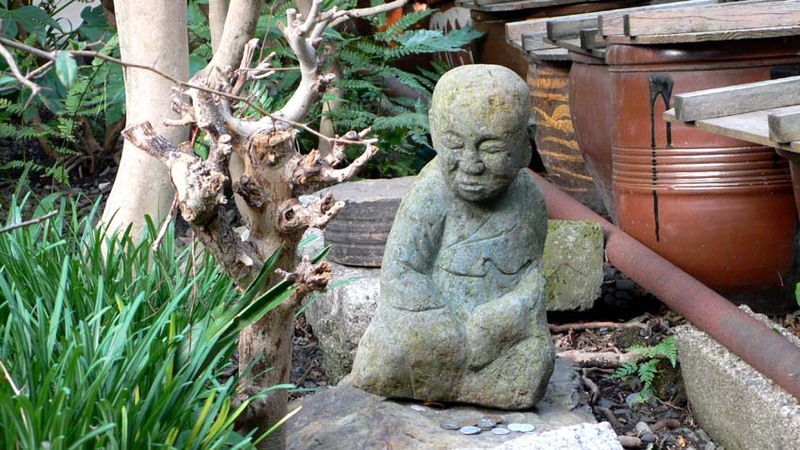 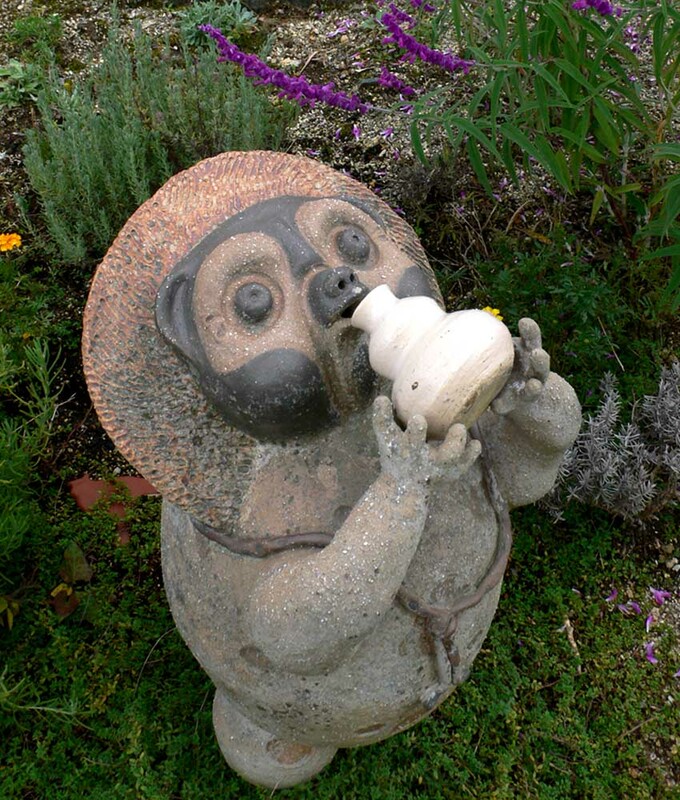 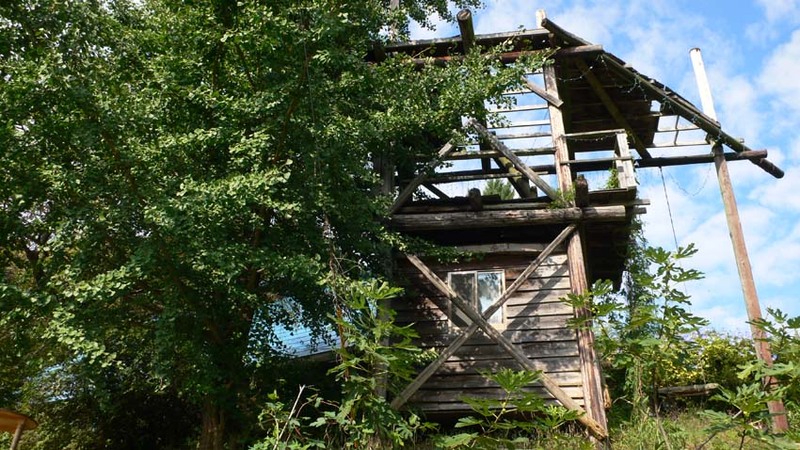 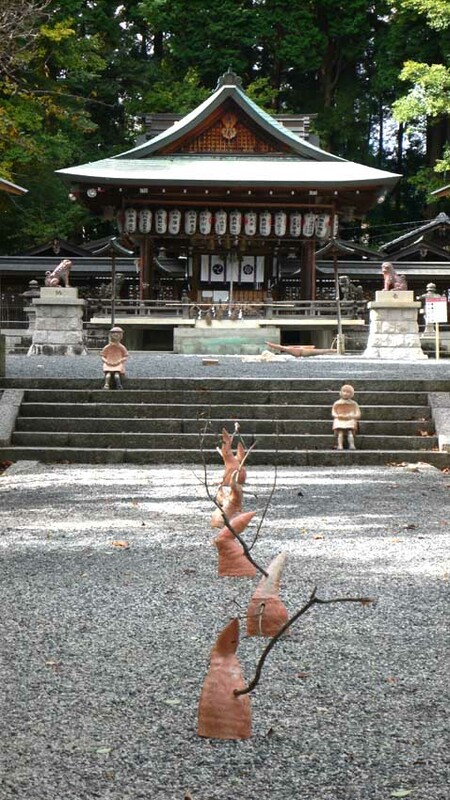 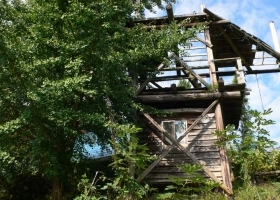 Next to his studio is a quaint little forest shrine…. 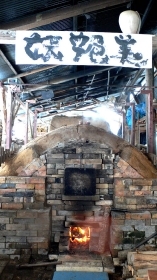 the first stop before beginning the week long kiln firing. 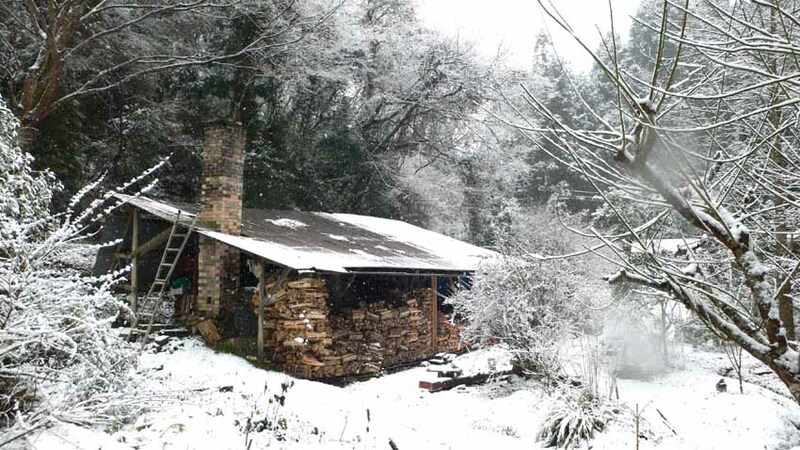 It was a real picturesque winter scene around the studio…. 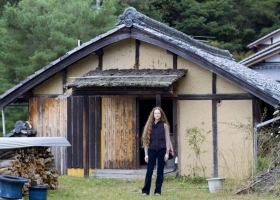 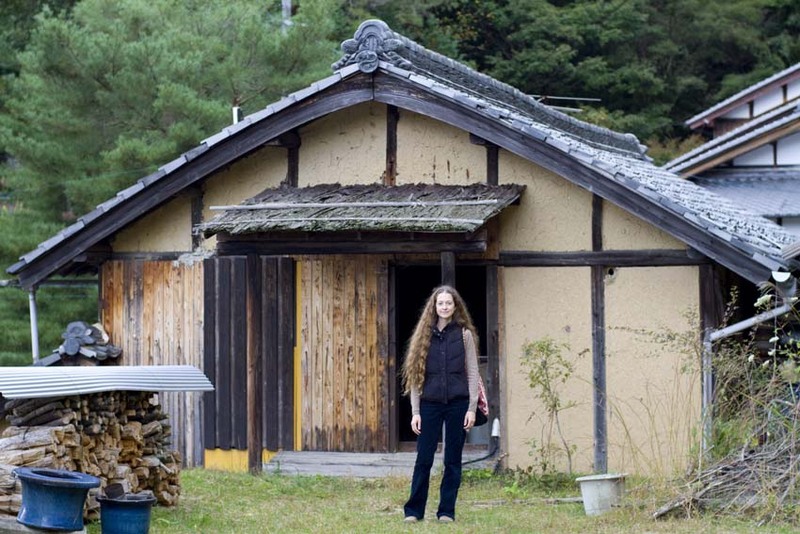 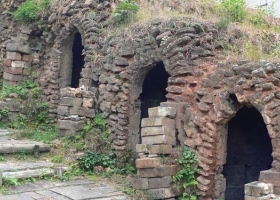 where there is a beautiful tea house and wood kiln. 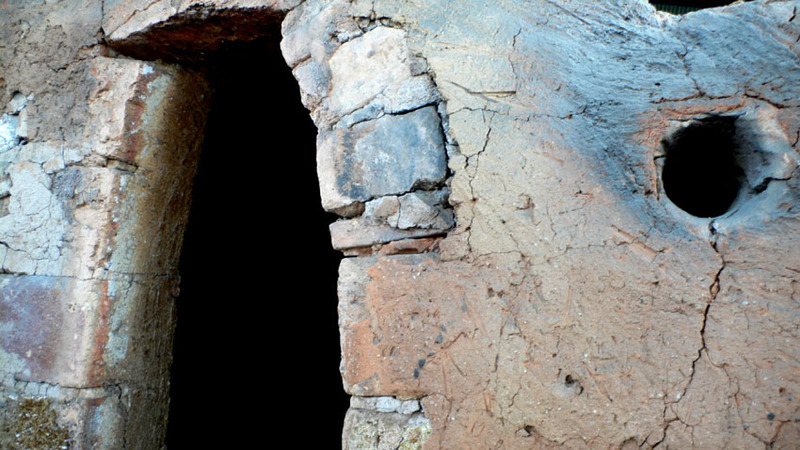 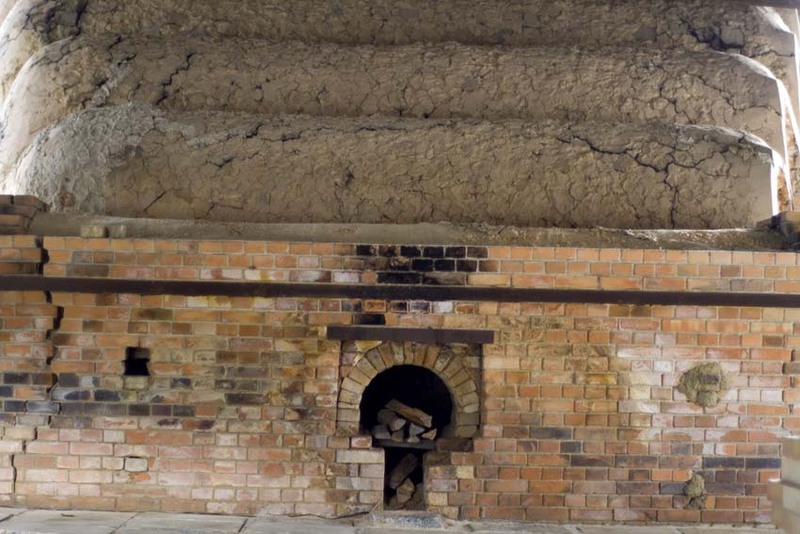 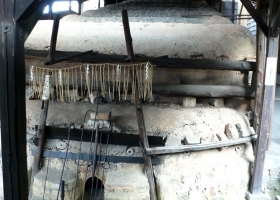 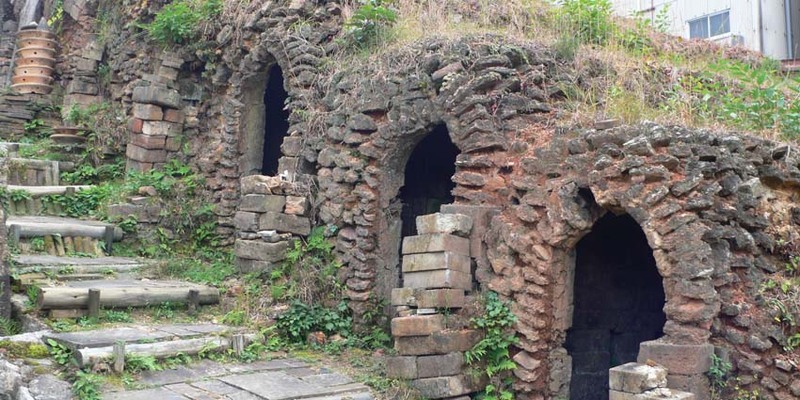 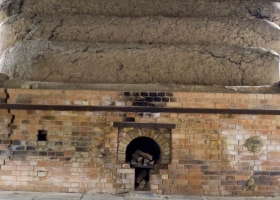 It was a smooth firing, 24 hours a day, lasting for a whole week…. 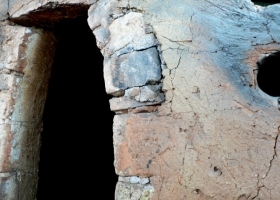 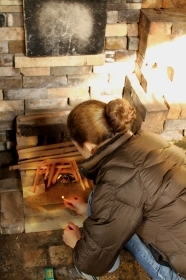 and the kiln was opened in the New Year! 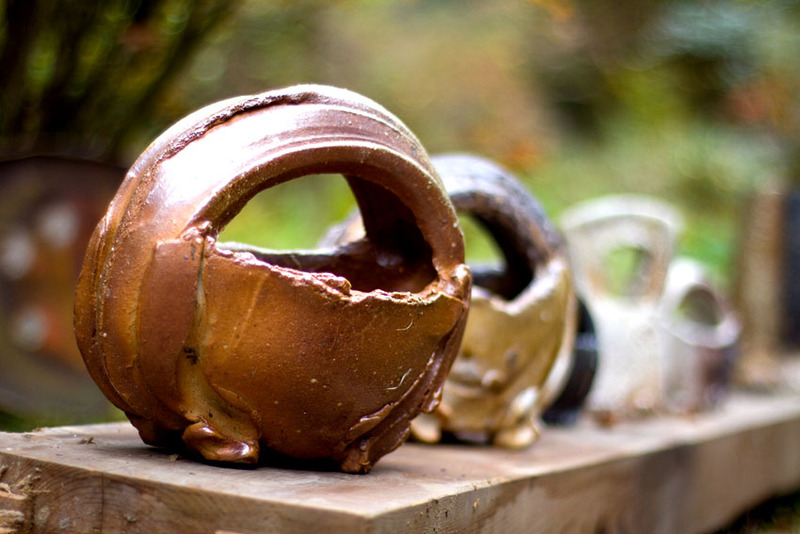 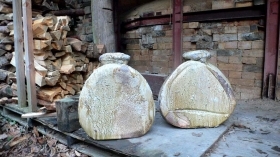 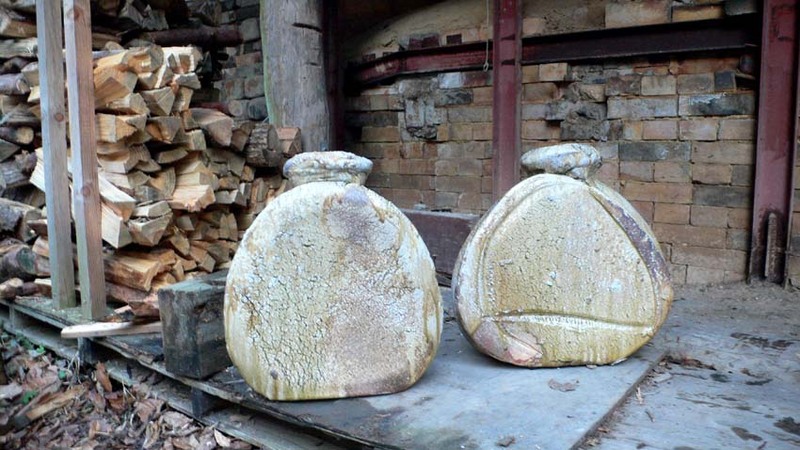 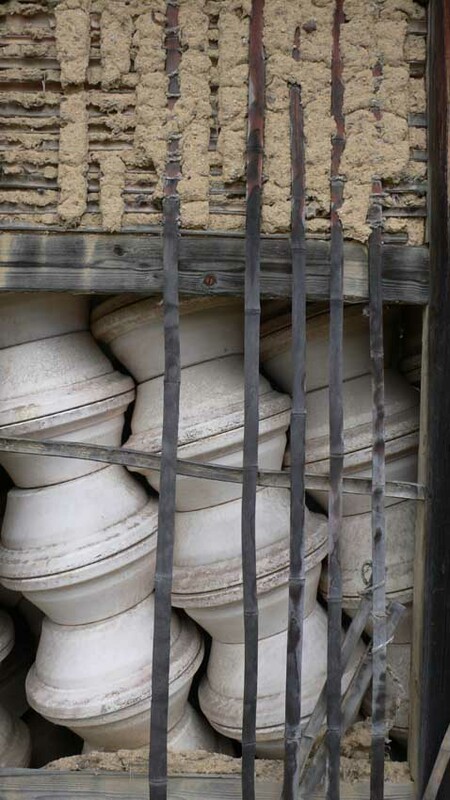 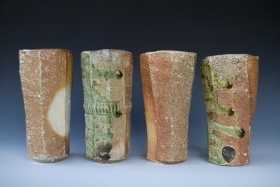 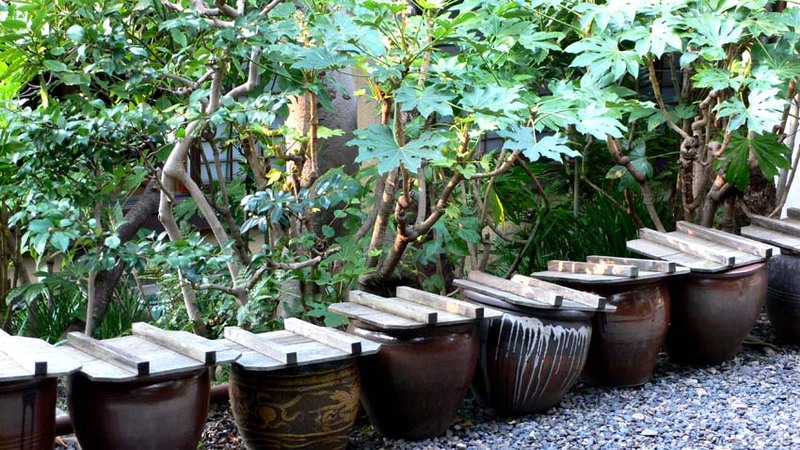 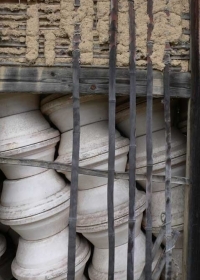 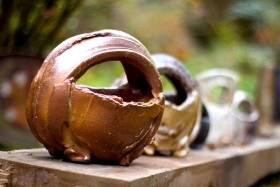 Here are some of the results of John’s pots…. 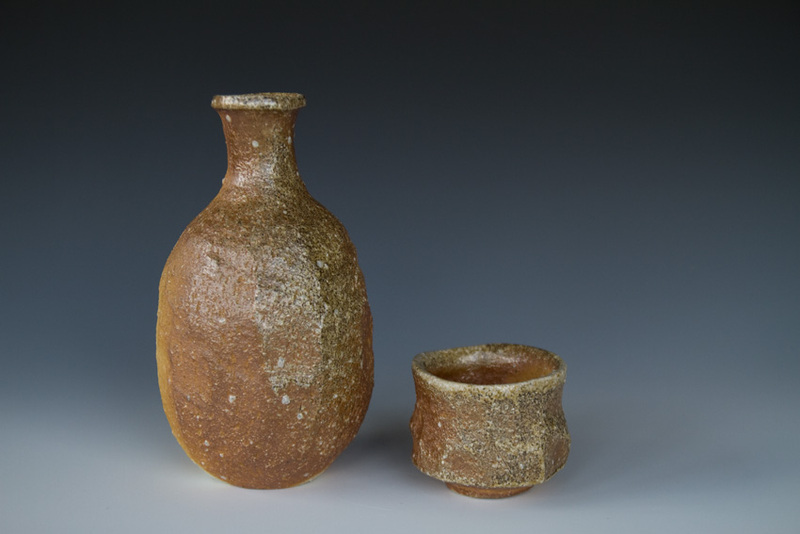 some beautiful flame markings, nice ash surfaces, and some special hikidashi pots which were pulled red hot out of the kiln in the middle of the firing. 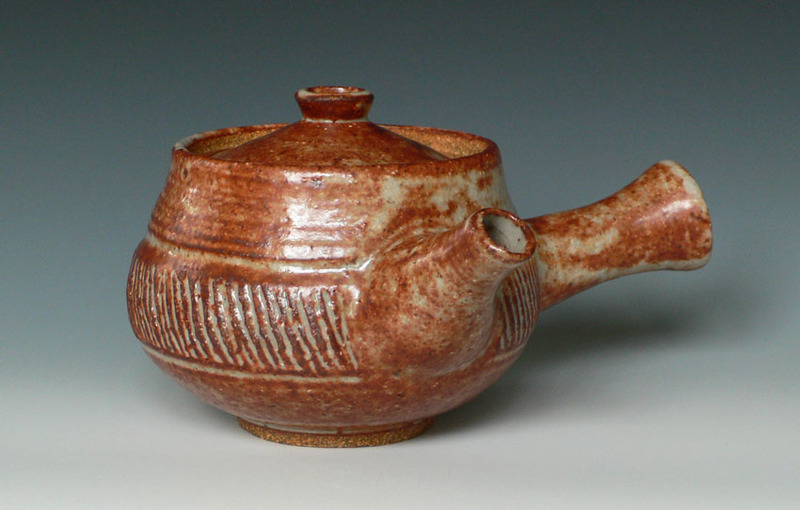 John has produced some remarkable pots using this technique. 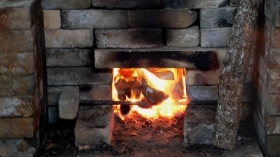 I was very happy to be able to fire some pots in John’s kiln. 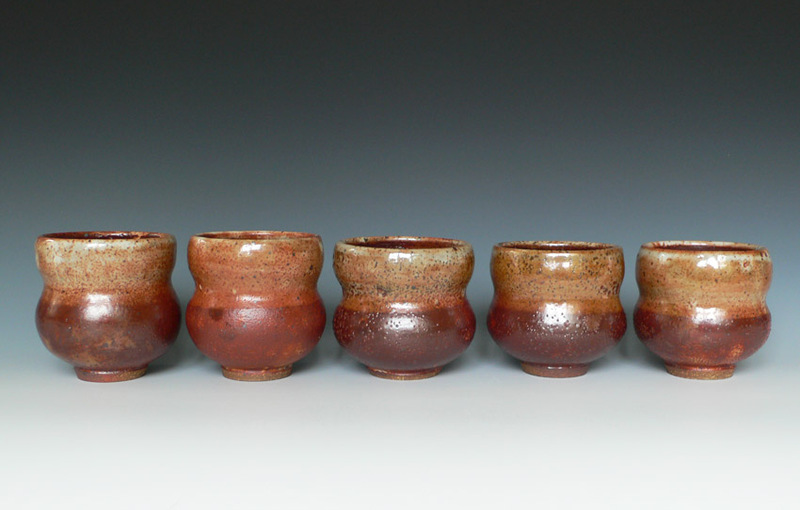 I used some Shigaraki clay for the first time and made a bunch of guinomis (sake cups). 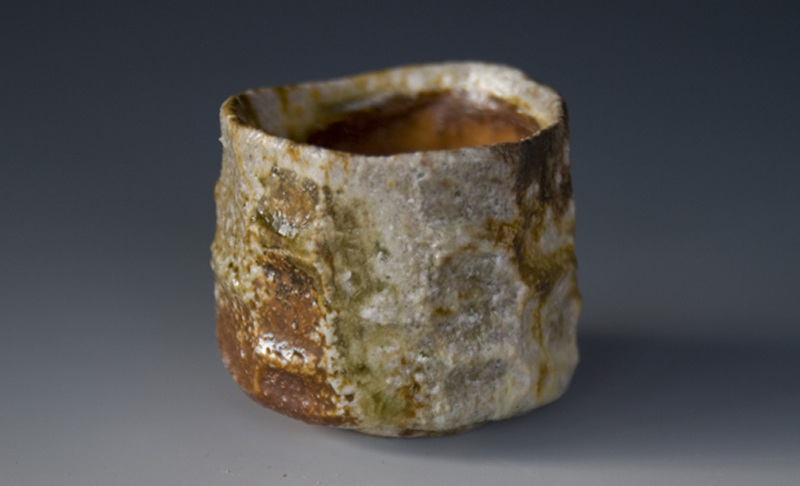 I tested some with shino glazes, but left many unglazed to see the firing effects on the raw clay. 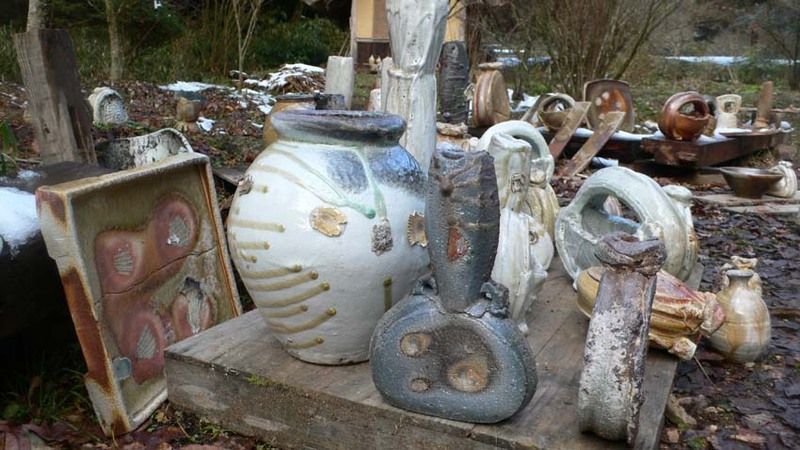 Here’s the collection….. 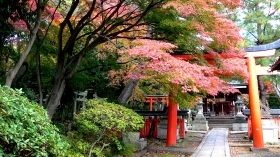 The colors in Kyoto right now are stunning. 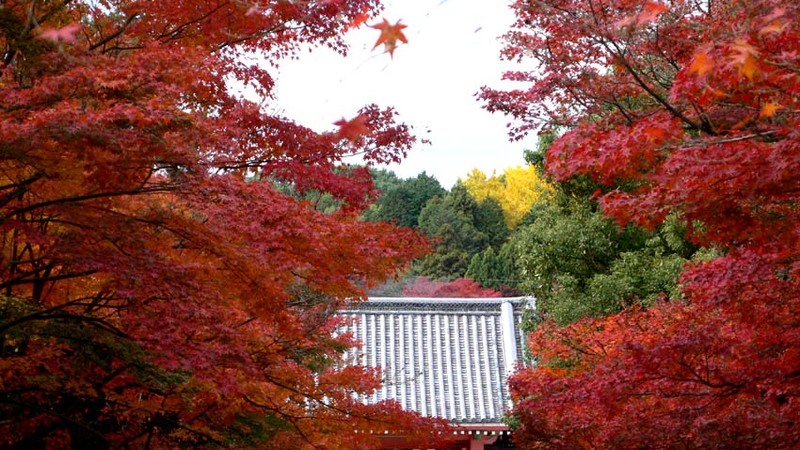 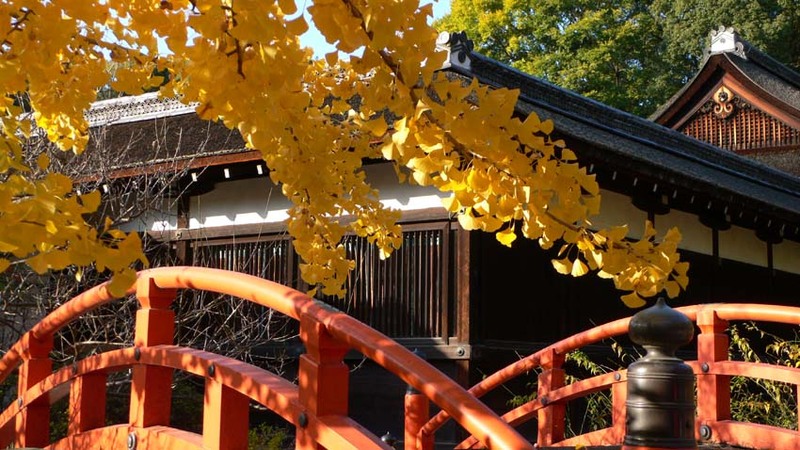 Here are a few shots of the bright red maples and yellow gingkos around some of the temple grounds. 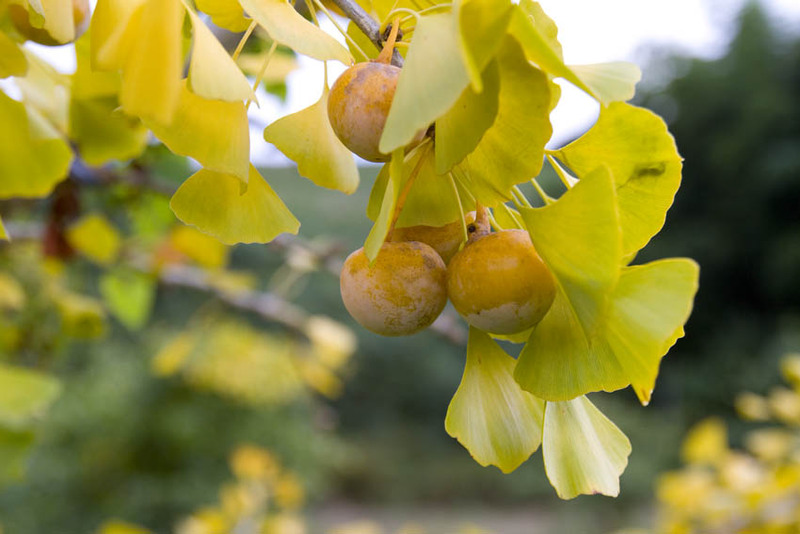 It’s a great time to travel off into the countryside and check out the fall scenery. 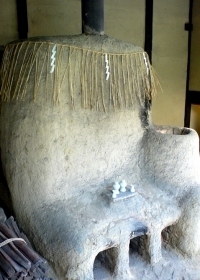 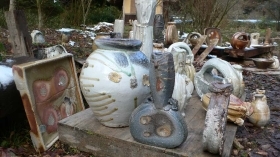 So I went off to Tamba Sasayama to visit an American potter, John Dix. 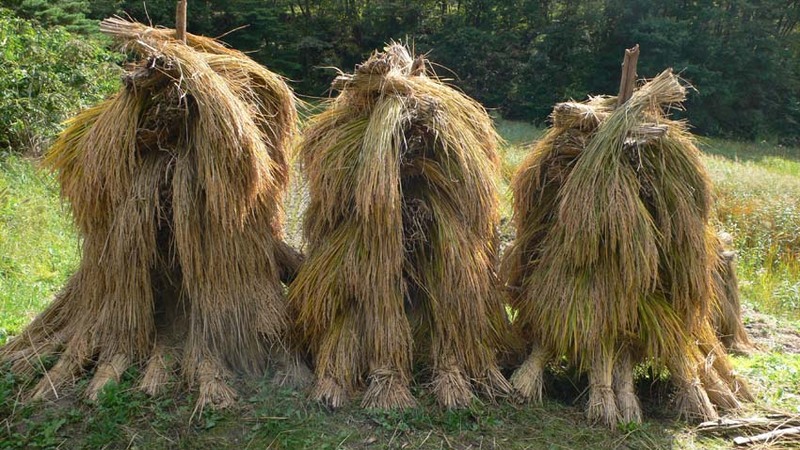 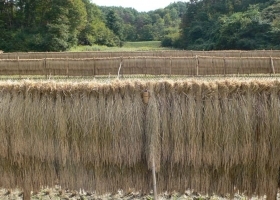 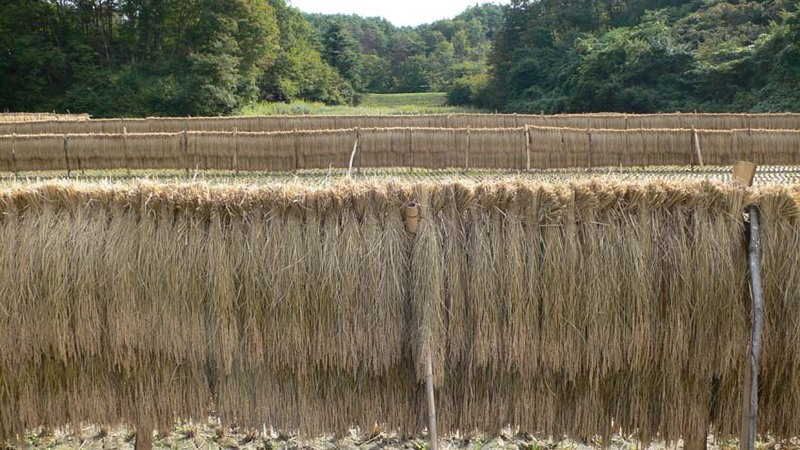 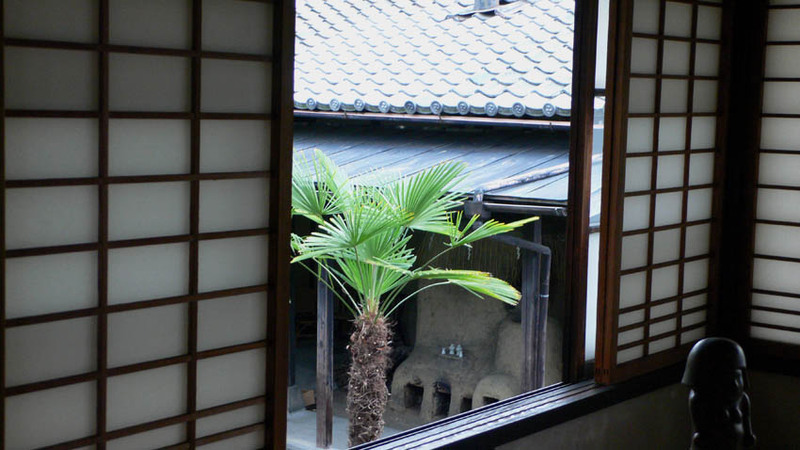 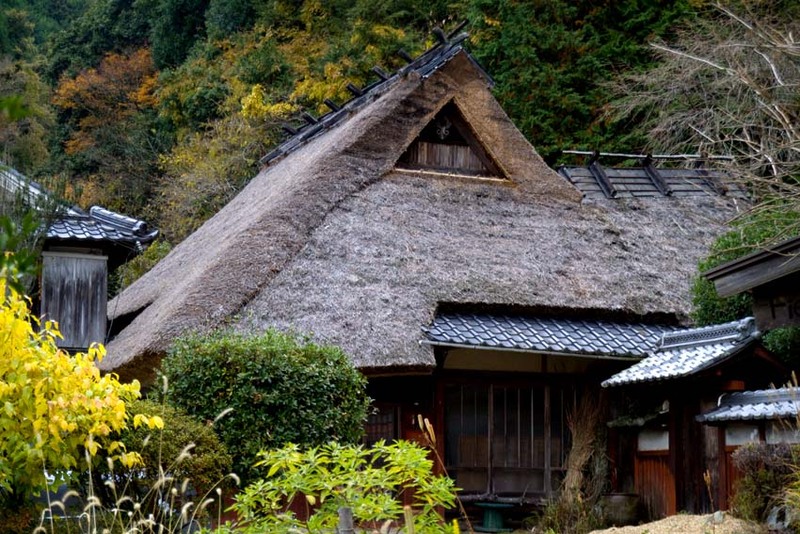 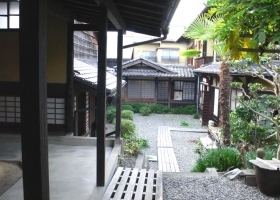 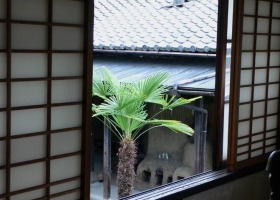 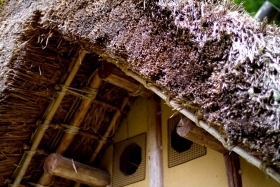 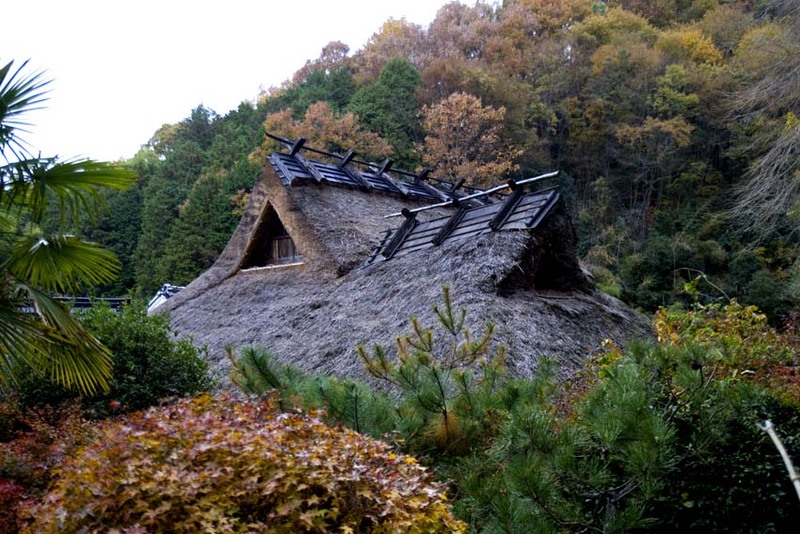 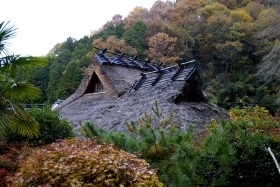 It is a beautiful part of Japan, with traditional thatched-roof farmhouses and lots of beautiful nature. 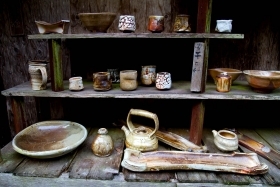 John Dix has a lovely country studio with a thatched-roof tea hut and gallery of some of his pots. 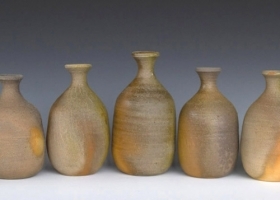 He has been living in Japan for the past 20 years or so and makes some really beautiful pottery. 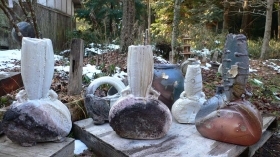 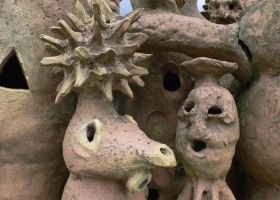 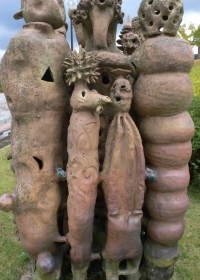 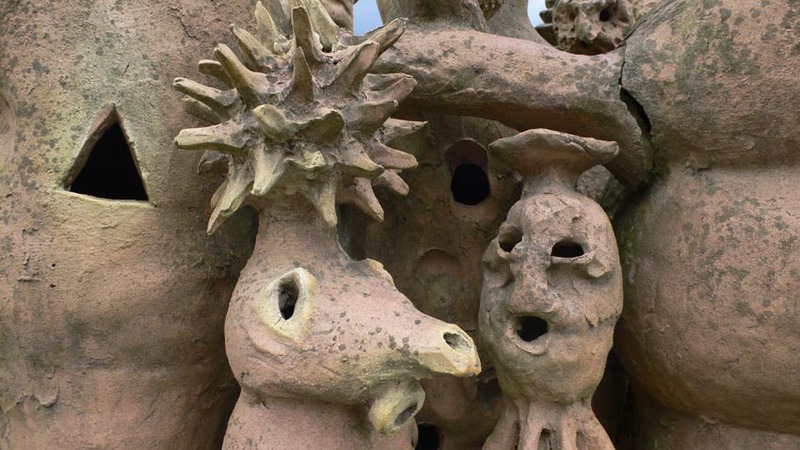 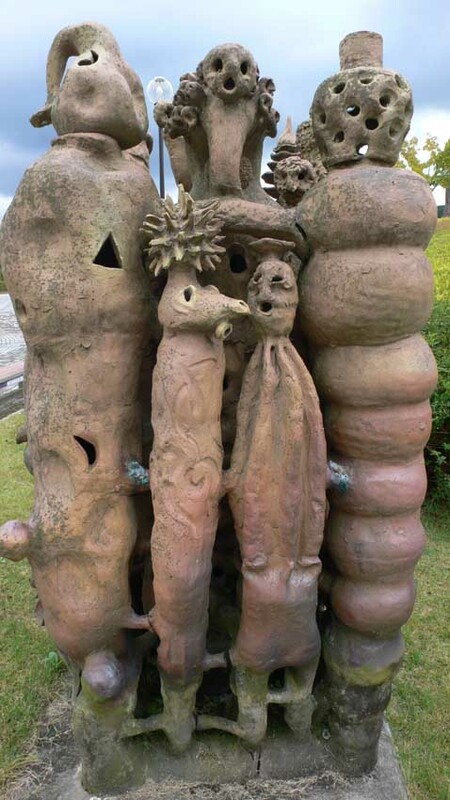 Here are some photos of some of his great woodfired pieces that are all around the property. 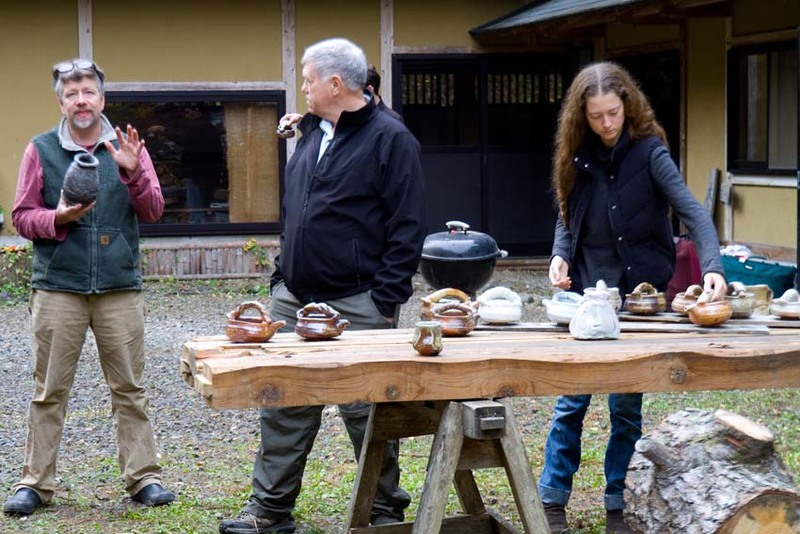 It was a great visit to Sasayama…. 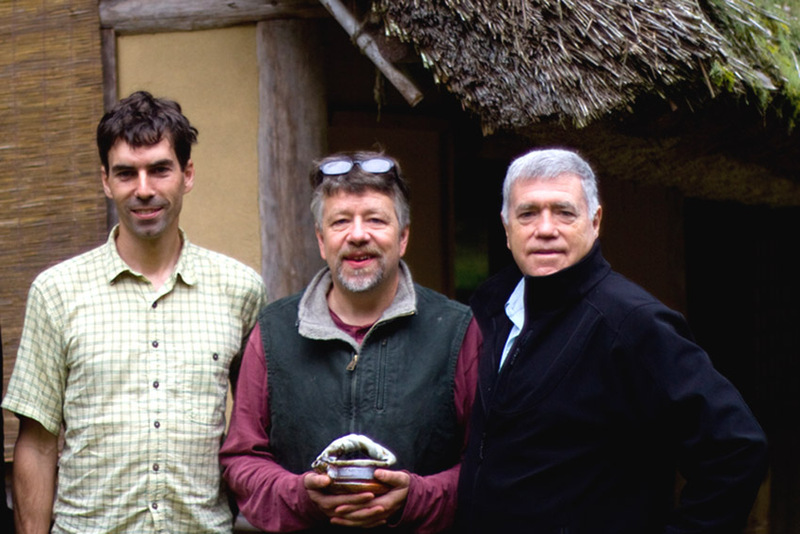 and with good company. This last photo is with John Dix, Dr. Dirk Noyes and his son Gavin Noyes, who is also a great potter who studied in Shigaraki and lives in Utah (check out his pots at www.gavinnoyes.com). 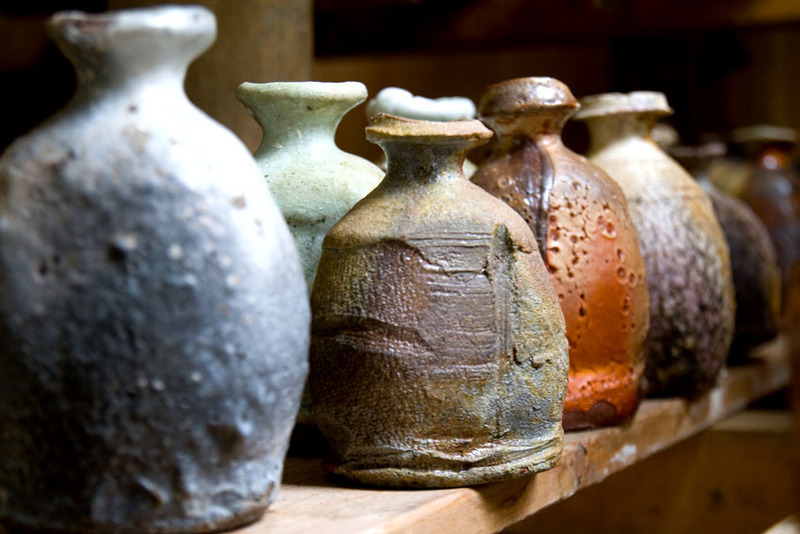 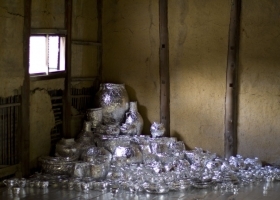 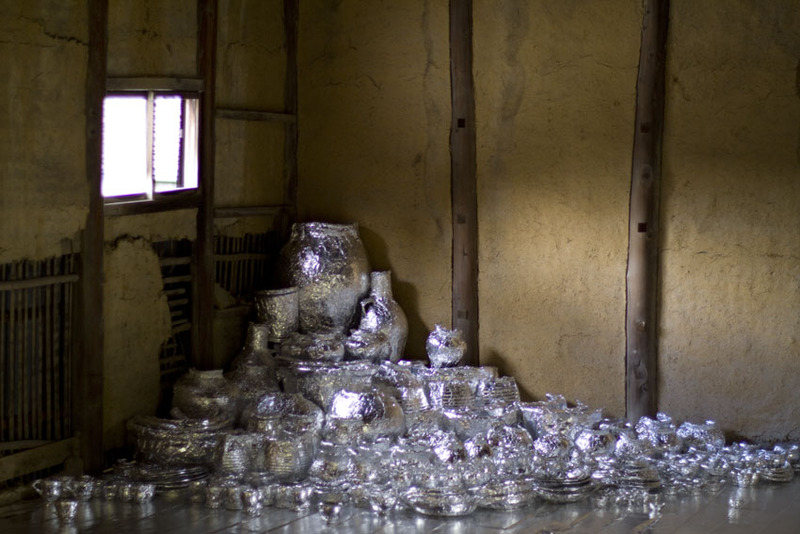 Check out this great, short pottery film by Michael McAteer, shot at the studio of Masakazu Kusakabe in Miharu, Japan. 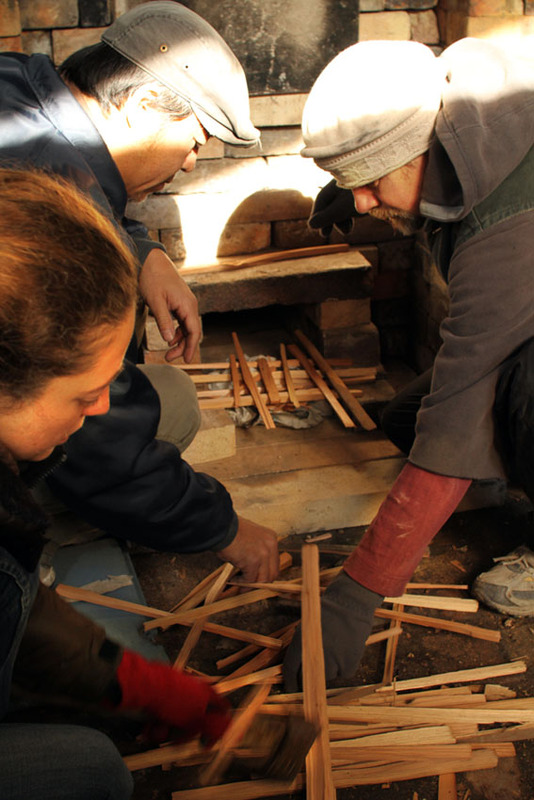 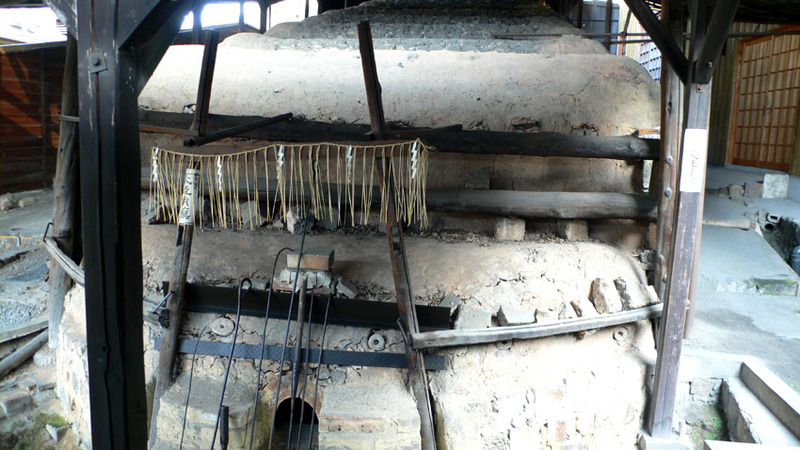 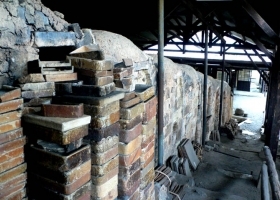 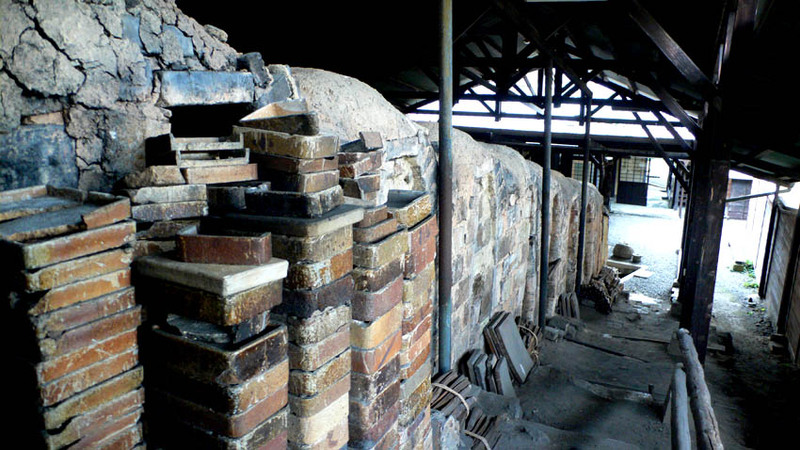 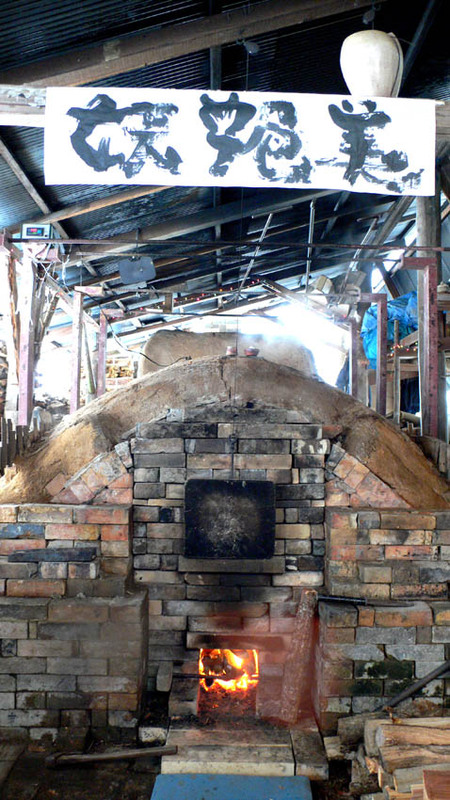 You can see us prepare and fire the Sasukenei Smokeless Kiln. 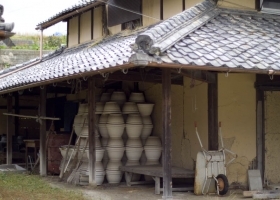 “Pottery Spirit”, by Michael McAteer, is a short film made during the winter of 2010 while I was training with Master Potter Masakazu Kusakabe in Miharu, Japan. 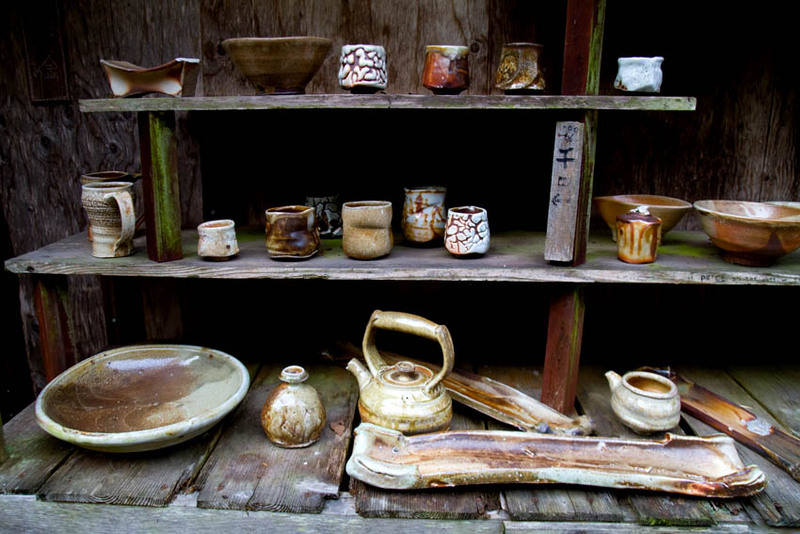 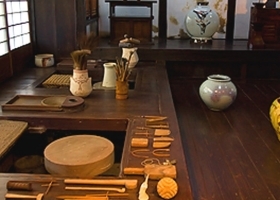 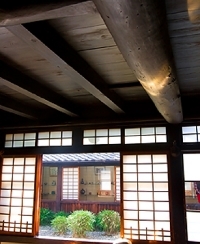 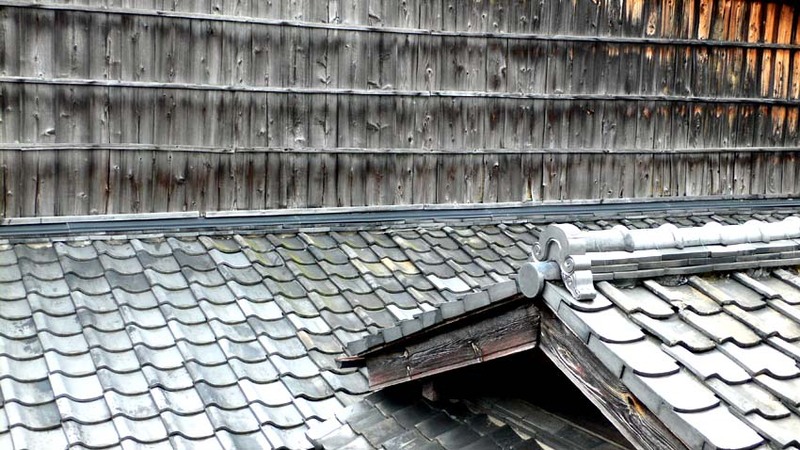 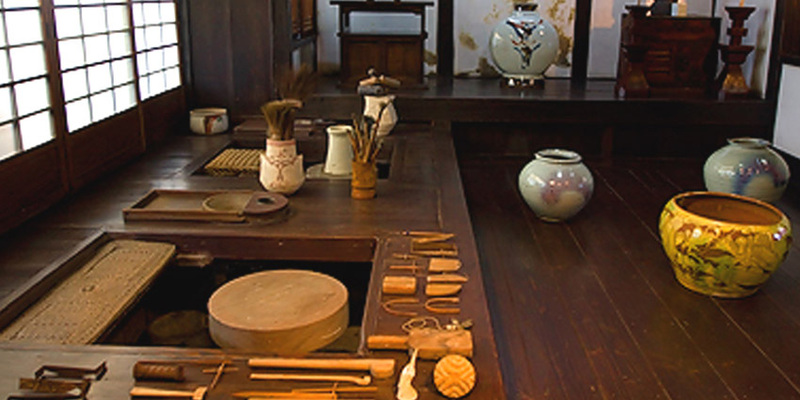 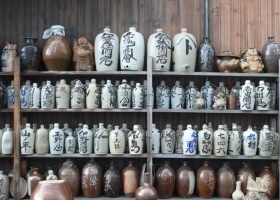 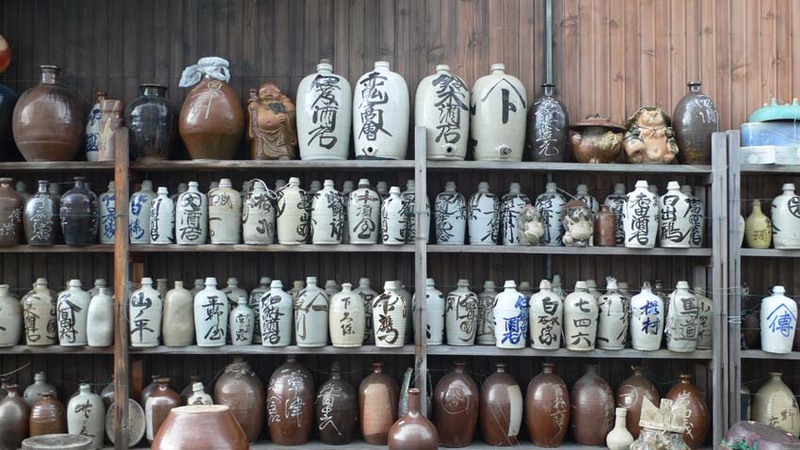 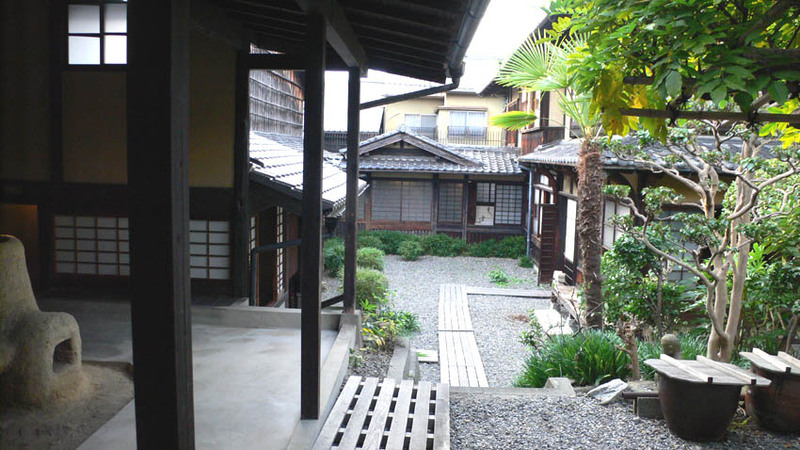 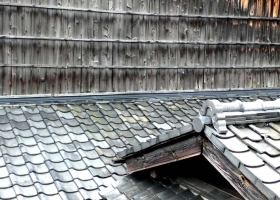 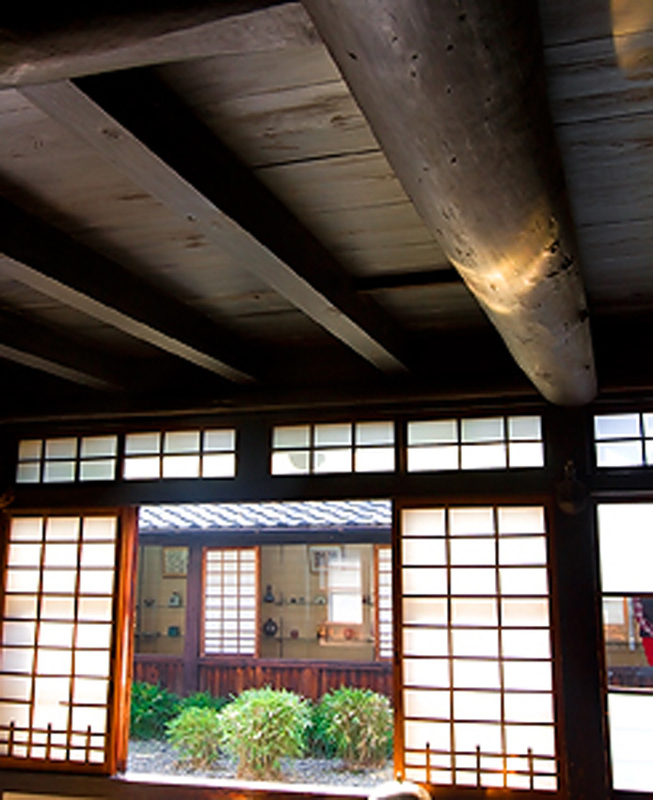 The imagery of Kusakabe’s home and studio environment captures the true Japanese spirit of Wabi Sabi.